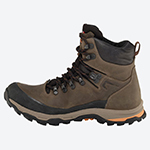 The Rondane is a fully capable mid cut hiker that provides excellent value and comfort on short hikes and walks. Made from full grain leather that resists scratches and protects the foot. The textile tongue is soft and flexible. 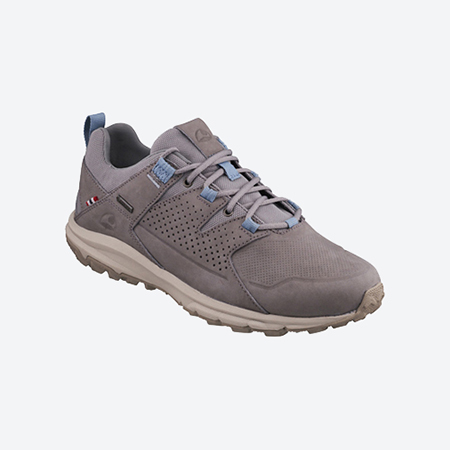 A 100 percent waterproof and breathable GORE-TEX membrane keeps feet dry and feeling fresh. 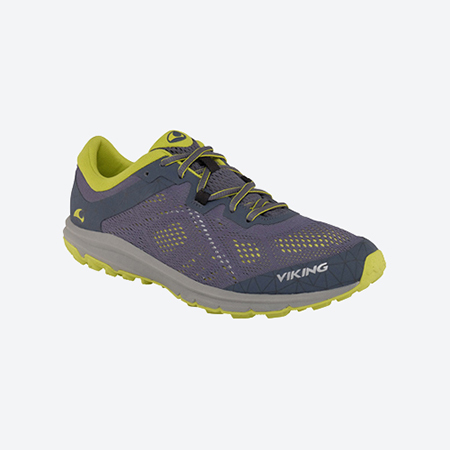 The Nordic last fits slightly wider feet well and the lightweight EVA midsole cushions every step. For a confident stride, the high profile UGC® outsole, made from rubber, grips the terrain well, whether wet or dry. 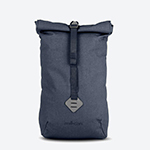 For enjoyable on-trail journeys, the Rondane will fit your needs well. 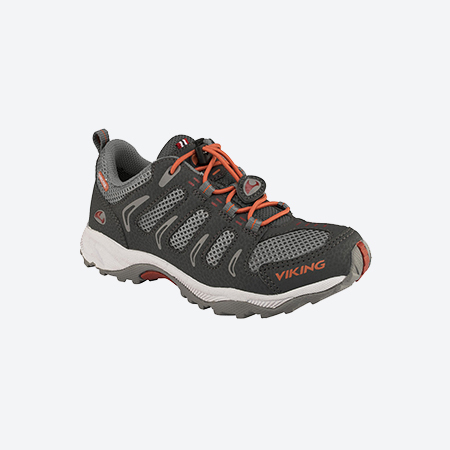 A soft, lightweight and comfortable by Viking style men’s shoe, that can be worn everywhere, ideal for day-to-day work or for walks in the city but also outside. 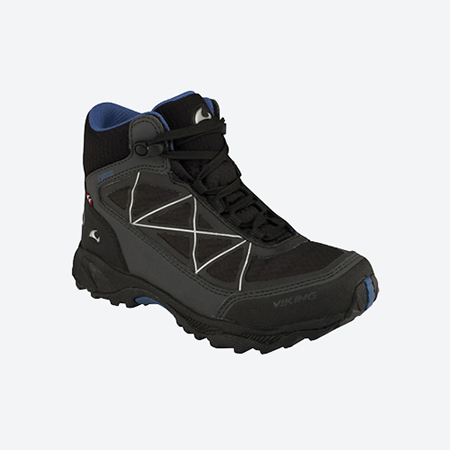 Ascent II is a next generation hiker developed with maximum performance and visibility in mind. 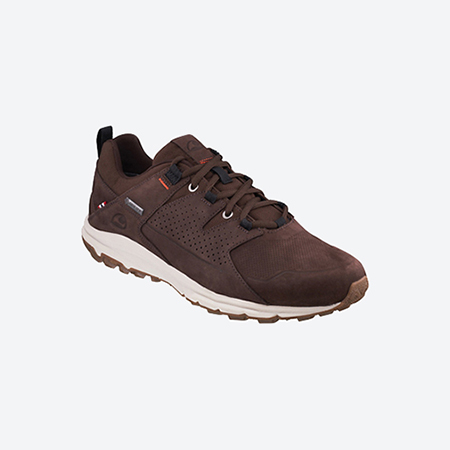 A careful selection of synthetic material keeps weight down, resists abrasions and delivers excellent foot comfort. The 100 percent waterproof and breathable GORE-TEX membrane provides all-weather protection. The EVA midsole adds comfort and a roomy last gives a Nordic fit with plenty of space for your toes. 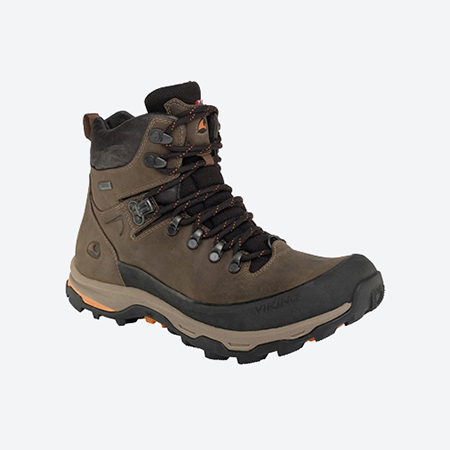 Viking’s comfortable and lightweight Mora boot, a casual everyday use with 100% waterproof GORE-TEX and breathable protection, provides dry legs and comfort due to breathability. 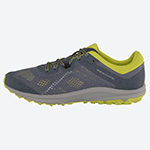 Light, breathable and built for performance, the Medvind is a supportive and comfortable trail running shoe that helps to quicken your stride. An engineered mesh construction gives the foot stability where needed while keeping weight to a minimum and maximizing breathability. The EVA midsole together with a molded foot bed provide reliable shock absorption, and a supportive mid foot stripe helps keep the foot in place. 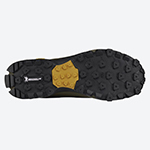 Underneath, a broad, high profile UGC rubber outsole gives excellent traction on all types of terrain. With a sleek, modern design, the Medvind looks as good as it performs. 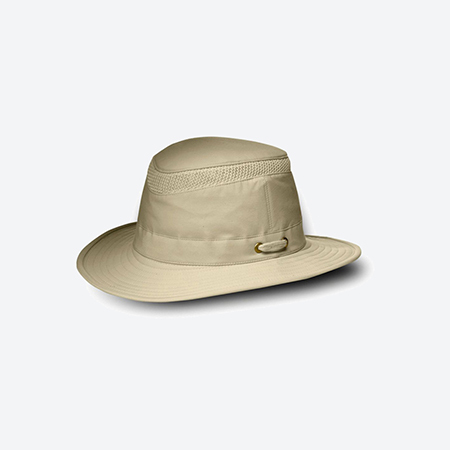 Tilley LTM5 jack-of-all-trades AIRFLO® Hats is ideal for almost every warm weather activity. It’s lightweight, easy care & we’ve put a 3/4″ mesh insert around the crown for added ventilation. Brim size: Front: 2 5/8″; Back: 2 3/4″; Sides: 2 1/8″ Weight: 3 oz / 85 g Fabric: 100% supplex nylon; mesh 100% polyester Care: Machine wash delicate or hand wash. Re-shape by hand. Air dry. Do not bleach. Wash it frequently or non-removable sweat stains will mar it & possibly rot it. 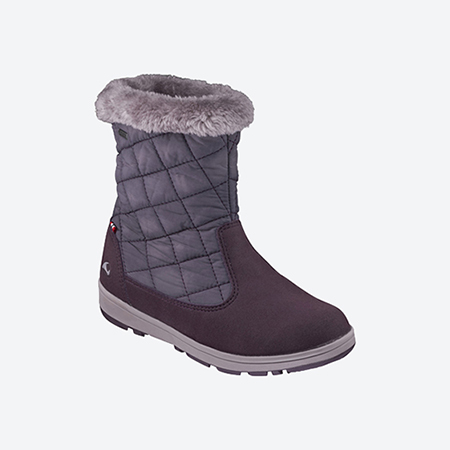 A soft, lightweight and comfortable by Viking style women’s shoe, that can be worn everywhere, ideal for day-to-day work or for walks in the city but also outside. 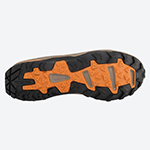 The UGC outer sole ensures absolute adhesion and a safe step on each ground whether it is wet or dry. 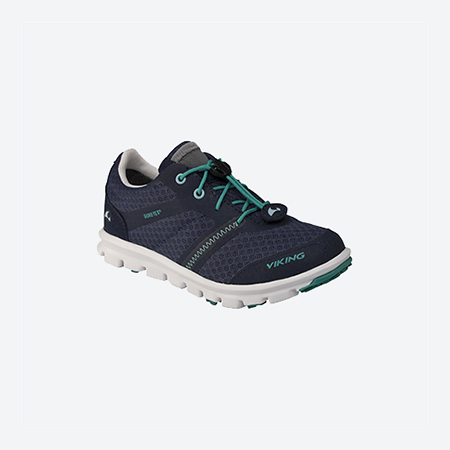 The Apex II by Viking, is a high performance trail running shoe focused on delivering low weight, high breathability and total waterproofness. An engineered mesh construction gives the foot stability where needed while keeping weight to a minimum. 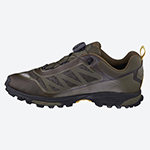 The 100 percent waterproof and highly breathable GORE-TEX membrane ensures foot comfort at any activity level. For convenience, the new 2-way Boa® Fit system replaces laces to make tightening and loosening easy. An EVA midsole provides reliable shock absorption and a supportive mid foot stripe helps keep the foot in place. When it comes to grip, a broad, high profile rubber outsole gives these sleek and colorful runners a secure stride on any terrain. 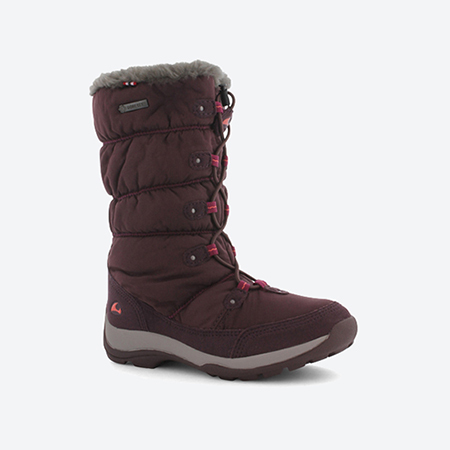 Warm comfortable and lightweight Jade GTX boot covering all appearances, from casual to outdoor getaways. 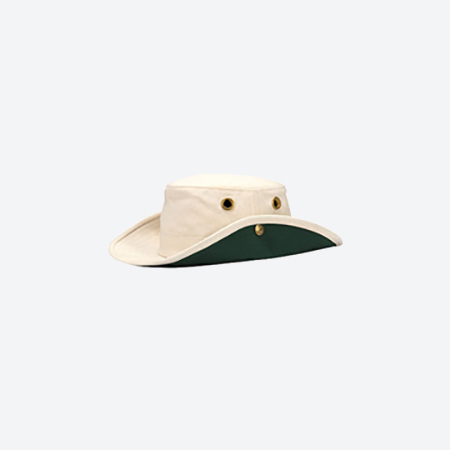 While this snap up Cotton Duck Tilley Hat is generally considered a sailing style, the origin of it is in the army. The side snaps were designed for soldiers who needed the brim out of the way when firing their rifles. However the snap up sides also offer extra stability in windy conditions on the water. 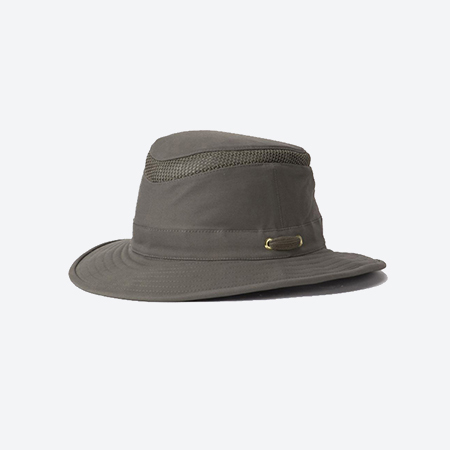 So whether on sea, or on land, this Hat will keep you protected from the sun & rain. Brim size: Front & Back: 2 3/4″; Sides: 2 3/8″ Weight: 5.4 oz / 153 g Fabric: 100% cotton duck Care: Machine wash delicate or hand wash. Re-shape by hand. Air dry. Do not bleach. Wash it frequently or non-removable sweat stains will mar it & possibly rot it. 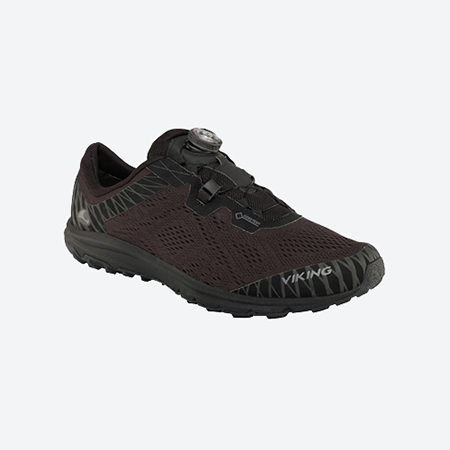 The ultimate all-round hike shoe – Anaconda Light is a new, lightweight version of Vikings best-selling light hiker. 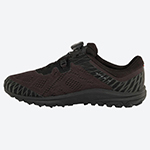 Move quickly and comfortably over any terrain in this sleek and sporty hiking shoe with a supportive and highly reflective upper, a sturdy toe cap for protection as well as a rubber mud guard for abrasion resistance. The medium last fits a wide range of feet and the shoes come with a 100 percent waterproof and highly breathable GORE-TEX membrane. 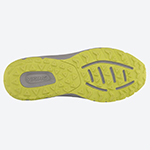 Support and cushioning are the result of a molded EVA insole. For quick, on-the-fly adjustments, there is a convenient Boa® Fit System with a center-mounted tightening wheel instead of laces. 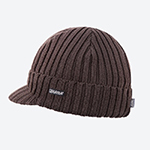 With a medium brim, Tilley soft, sueded Organic AIRFLO® Hat is an excellent for all activities Hat. It’s lightweight, easy care & we’ve put a 3/4″ mesh insert around the crown for added ventilation. 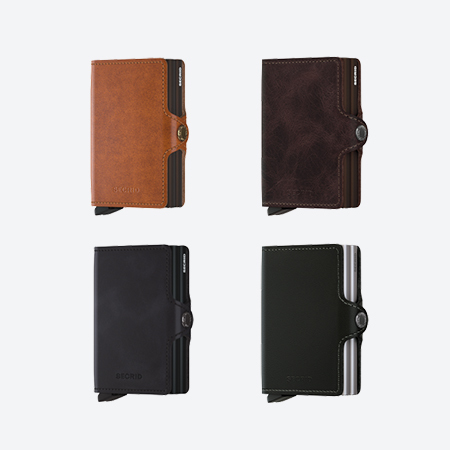 The most iconic wallet by SECRID with the perfect all-rounder. 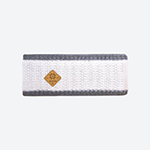 The Miniwallet is compact in size and surprisingly large in storage capacity. 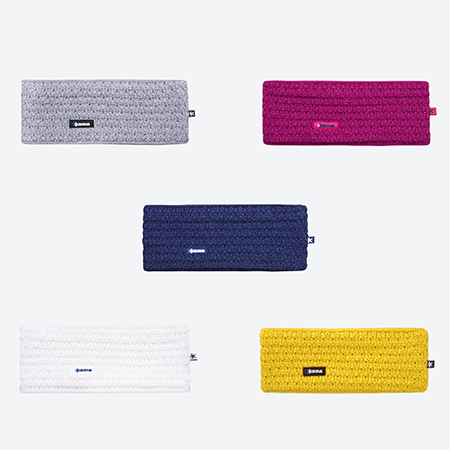 With a wide variety of styles and colours, it fits every pocket. In a fluffy knitted blanket of 100% Merino wool a baby lies as if it was in a comforter. 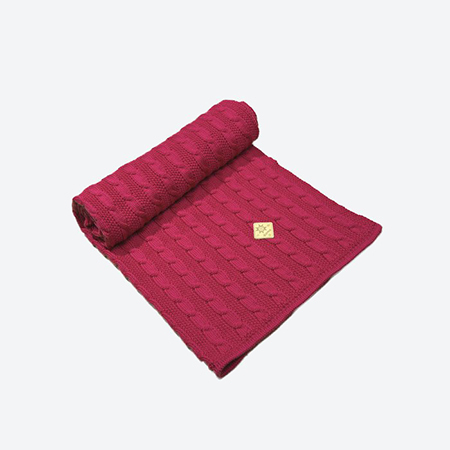 The finest pure natural fiber from which the blanket is knitted is subject to rigorous safety checks and its production does not burden the environment. A cross between a trainer and a sandal, Saratoga is the ultimate summertime shoe for juniors on warm and dry days. 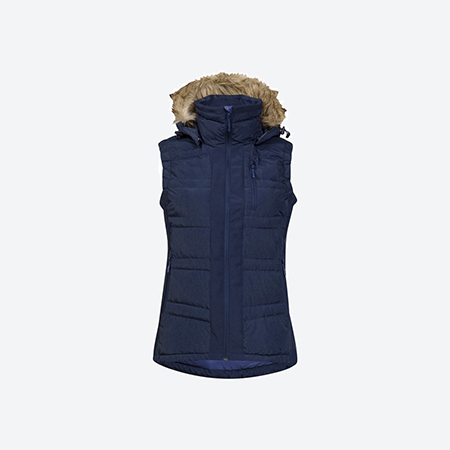 With sporty styling and thin, mesh openings on the sides, heat and moisture vent away almost instantly. Integrated webbing gives support and a close fit, while toe and heel reinforcements provide extra protection in key areas. Elastic laces with a lace lock make adjustments quick and the soft EVA sole with natural rubber gives high traction on all surfaces. 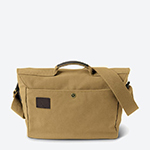 In keeping with its heritage, our field bag includes multiple pockets offering space for notebooks, papers, laptop, camera, water bottles and other essentials. 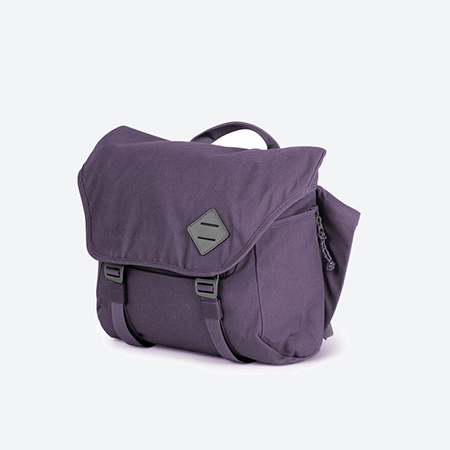 Made from weatherproof organic cotton and protected with all-over padding, this accessible bag is perfect for rural or urban explorers. This wind-and-water-resistant softshell jacket is a versatile, a product for all-weather conditions. 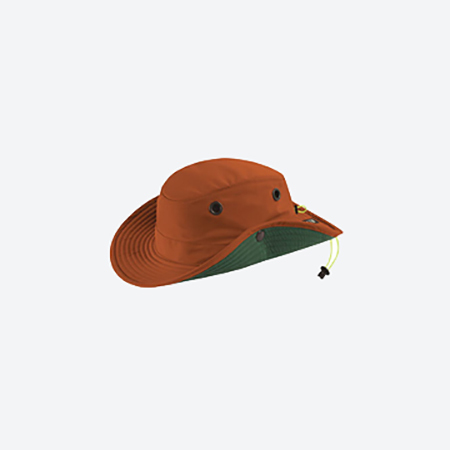 Paddle in sun-protective comfort with our Paddler’s Hat. 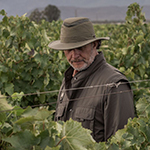 Certified UPF 50+ sun protection, our Hat also features glare protection, wind resistant front brim for extra stability, temperature regulation & more. 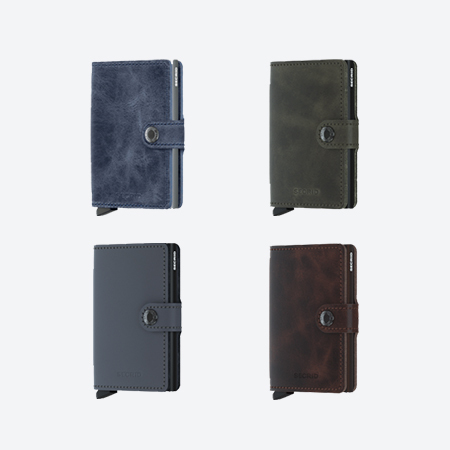 With two Cardprotectors to hold double the content, the Twinwallet carries up to 16 cards, banknotes and receipts, but remains compact in size. 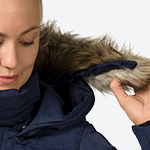 Lightweight jacket with built-in hood combined with high-tech materials and feather. The design of the combination of materials gives the possibility of durability, but also flexibility for ease of movement. 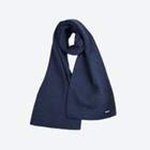 A sleek, warm style that maintains the modern style, ideal for everyday use, for a walk in the city but also outside. 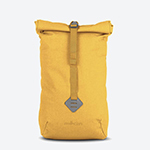 A special proposal by Millican the Duffle Bag, a combination of renowned durability, design simplicity, and functional excellence in a multi-purpose bag. 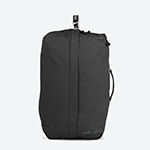 Its design allows its use as a Duffle Bag for travel as well as Rucksack for everyday use. 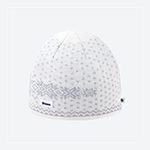 KAMA is the only brand that uses the GORE® WINDSTOPPER® membrane even in children’s caps. 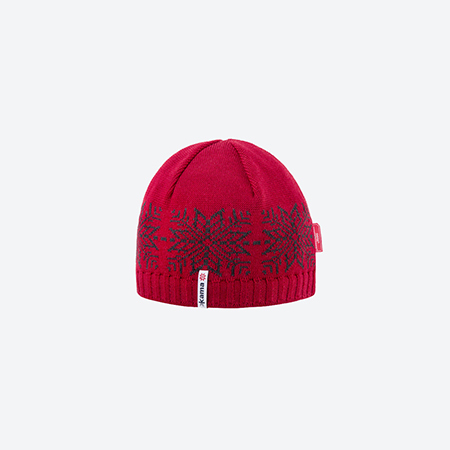 This cap with the original Nordic style is perfectly windproof and breathable. Thanks to breathability, sweating is avoided, but the head is protected from wind and common colds. 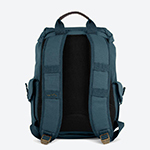 Fraser the Rucksack Backpack by millican, for those looking for adventure in their escapes and functionality in everyday use. 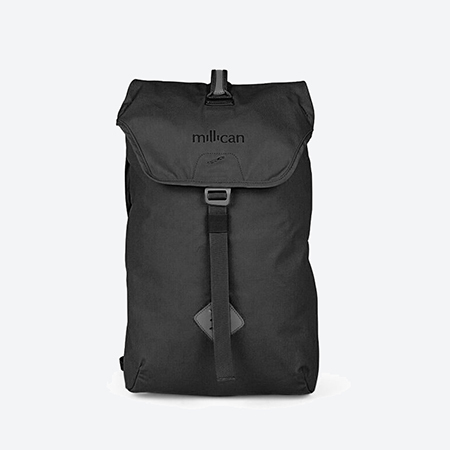 A modern classic all day backpack by millican, that combines the culture of tradition with the needs of today’s everyday life. A Vintage Sense in a Modern Edition for everyday used and traveling. 100% organic cotton canvas outer (weatherproofed), waterproof 100% recycled polyester rain cover, 100% organic cotton lining, 70% vegetable tanned leather. 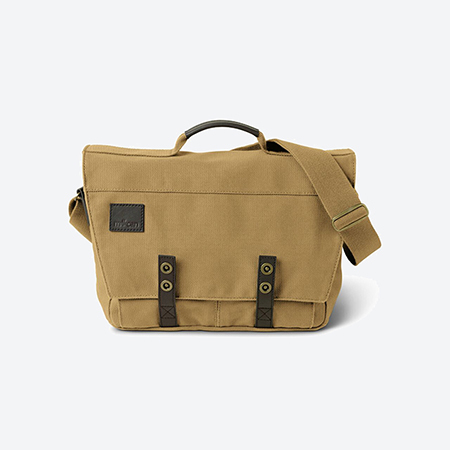 Nick the Messenger Bag is made for life on two wheels. 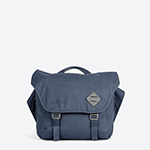 One of the most practical shoulder bags around, we’ve gone the extra mile and added modern details such as a secure laptop compartment, external water bottle pocket and clever internal storage to make life easier on the move. 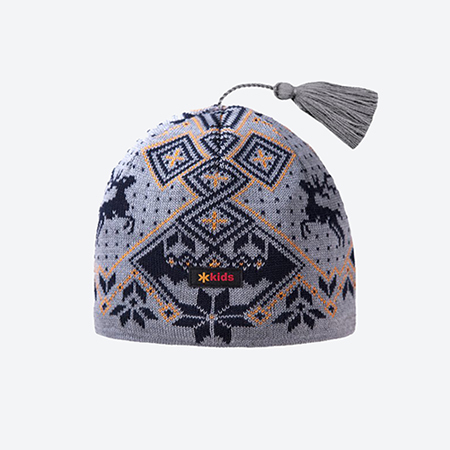 Thanks to the children’s hat’s ear cut with an indian pattern it is very practical. The entire inside is fleeced, so it is also suitable for «cool weather». Roll Pack millican backpack, use ‘grab and go’ for everyday used and travel. 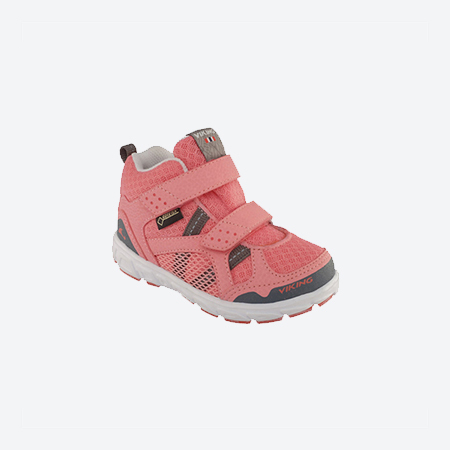 An everyday sports shoe for kids by Viking with Gore-Text. 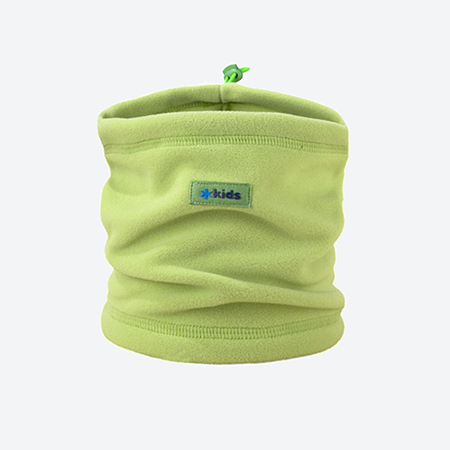 This chirpy and practical balaclava for toddlers is lined with a hued fleece with long hair. The velcro closure does not log the balaclava to slip from the head. 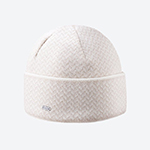 The materials from which we knit caps are subject to the strictest quality and safety checks. 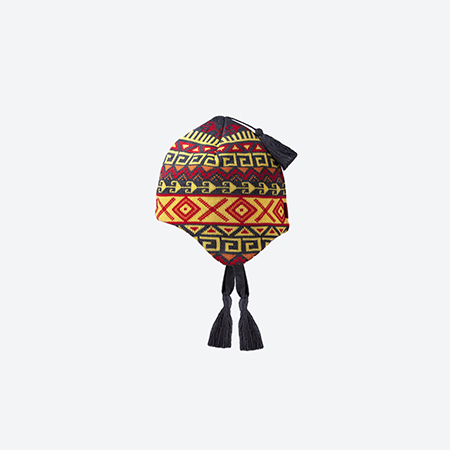 Children’s hat with an Indian pattern is decorated with a pompom. 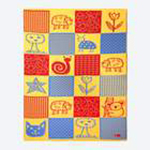 Both the size and the pattern suit the older children. 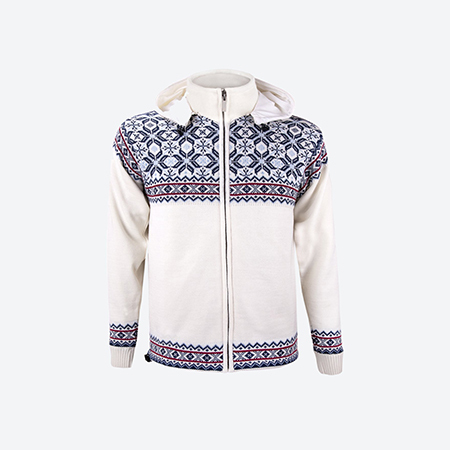 Inside is a fleece lining that is warm and optimally breathable. 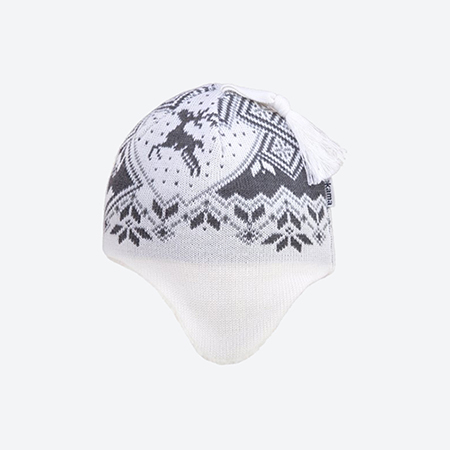 Children’s knitted hat with a Nordic pattern that complements the collection of children’s knitwear. It has a practical cut that protects your ears. Inside is a lining of fine quality fleece. We produce the model in two sizes. 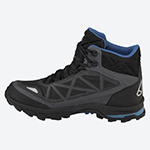 Ascent Jr. is a next generation hiker developed with maximum performance and visibility in mind. 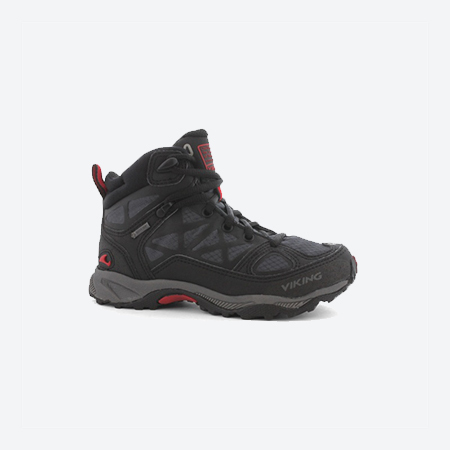 With a breathable and lightweight ripstop construction, the Ascent Jr. provides excellent foot support, high durability and a confident grip. A 100 percent waterproof and breathable GORE-TEX membrane provides all-weather protection. The EVA midsole absorbs shocks, adds cushioning and a specialized junior last with heel grip fits feet well with plenty of space for the toes. 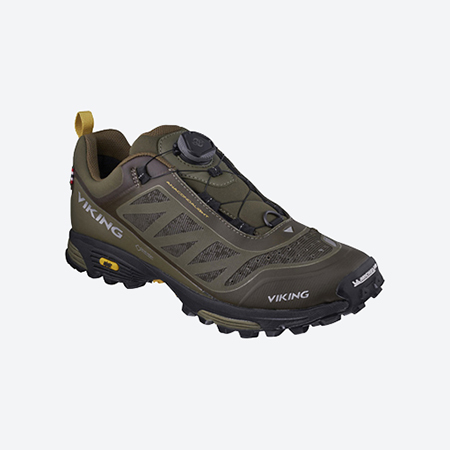 Viking’s own UGC® outsole delivers traction on any surface and has reinforcements around the heel and toe for added protection. The bestselling Nordkapp Jr. is designed to give children even more independence and comfort when exploring the environment or on their way to school. All ISBJÖRN Hard Shell products are made from either a certified bluesign® 2- or 3-layer material with a membrane that provides a water column of 15,000 mm and an excellent ventilation capacity of 15,000 gr / m2 / 24hrs. These products are 100% sealed and offer waterproof zippers with the highest quality from YKK®. Reflective details glowing in the dark at various points. Last but not least, the water resistance finish (DWR) is always 100% carbon-free. ISBLORN SQUIRREL Winter Cap is a warm and cosy padded winter cap, with a lovely fur -Fake of course! 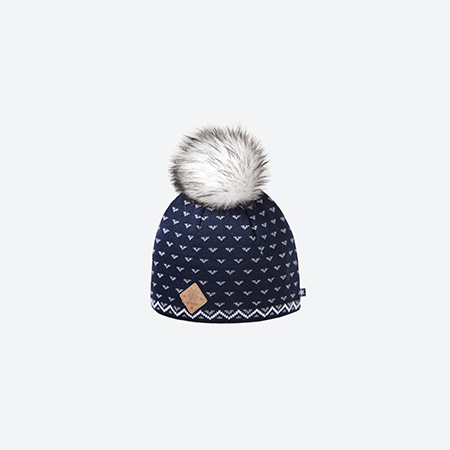 The fur gives it a cosy and comfortable shelter, protecting the child from icy wind and snow. There is a closing device with velcro under the chin, which also makes it easy to adjust for a perfect fit. In the back of the cap there is an adjustable buckle, to make the cap fit perfectly over the head. 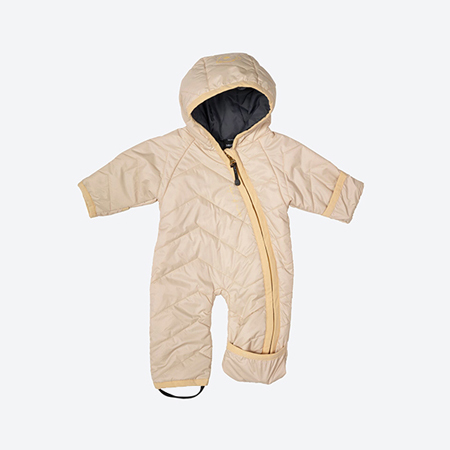 Frost Primaloft ISBJORN is ideal for all weather conditions, ensuring a balanced temperature for the baby. Lightweight with 100% windproof protection, breathable and water-repellent. 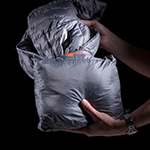 Primaloft Black Eco material, offering protection from cold and a feeling of special softness. Continuous zipper from collar to bottom in leg. Bluesign® certification for the most environmentally friendly and safe product. A bestseller in Viking’s children’s series. for use inside and outside the city. Soft touch with very good adhesion, extremely stable, moisture-proof. Extra ankle support and an EVA midsole that relieves every step. 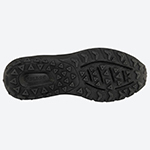 Rubber sole for excellent grip on ice or snow. They are washed in the washing machine at 30 degrees. Ten animals hid on a meadow with a pond. 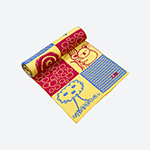 Knitted blanket with a landscape pattern in four color combinations is made of high-quality Schoeller yarn. 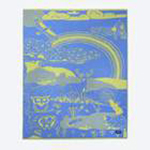 Its quality is guaranteed by the Bluesign® certificate. Small backs with a lot to carry deserve only the best! 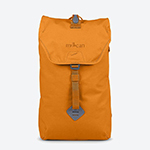 Which is why Bergans created its pioneering 2GO school pack featuring the QuickAdjust™II, for back length adjustment. The time’s come to give kids the quality and comfort they deserve! 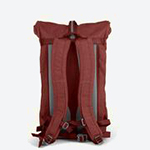 QuickAdjust™II is featuring in Bergans’ full-size backpacks. 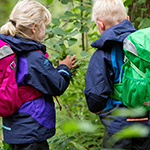 Thanks to this system, the school pack is easily adjustable to the length of the child’s back. 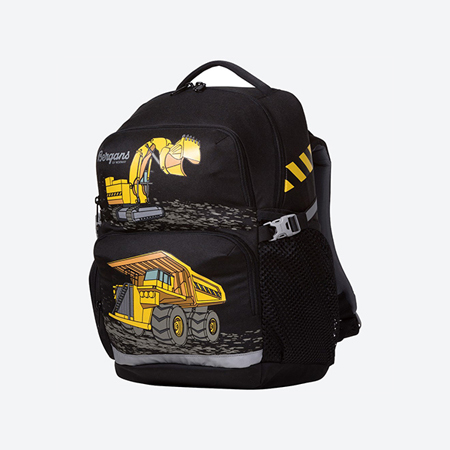 With proper adjustment, the pack fits correctly, distributes the weight of the contents better and provides greatly improved comfort for the child. 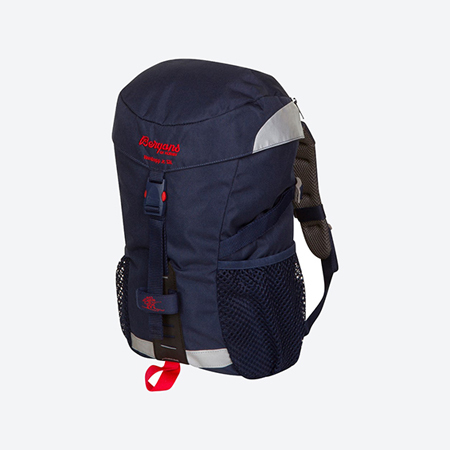 Thanks to the adjustable back length, the pack will also keep up with the child’s growth and development for several years, meaning it takes longer before the child «grows out of » the pack. 2GO is available in two sizes, 24 and 32 L. Both sizes offer a large, roomy main compartment, and multiple handy pockets to make it easier to organize the school day. 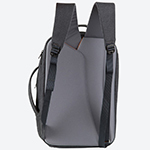 The pack also features decorative reflective details. 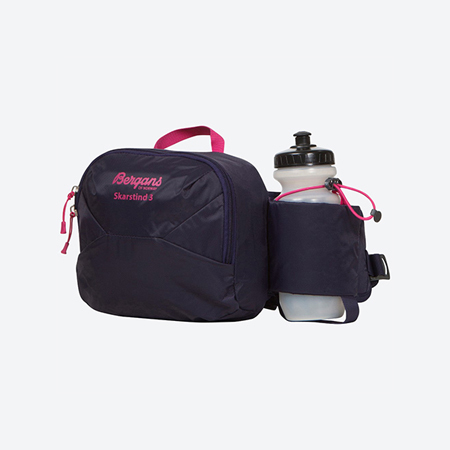 With a Bergans 2GO on board, the hike to school just got a whole lot easier! 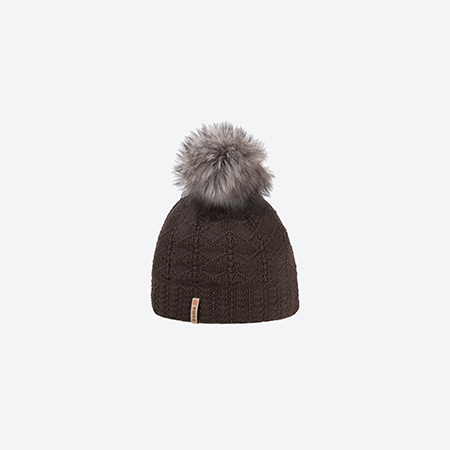 Thanks to the slight geometric pattern, the cap with its pompom from artificial fur fits into the city and on the slope. 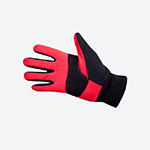 The fleece lining ensures comfortable wear and optimal protection. Schoeller yarns are made in the EU and are subject to the ecological standard of Bluesign®. 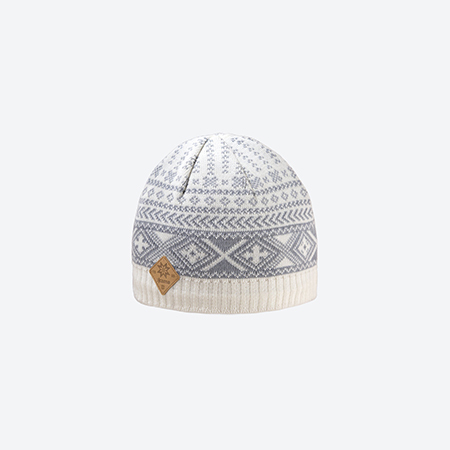 The beanie complements leather triangular logo label. 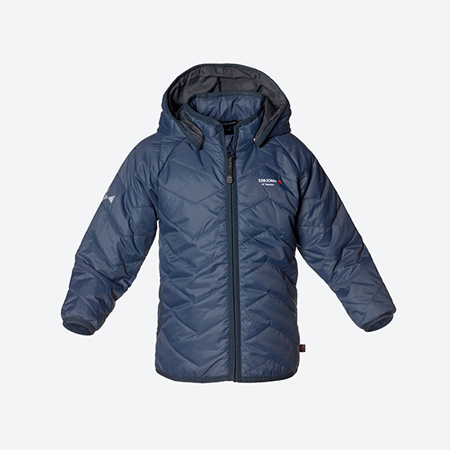 The Frost Primaloft ISBJORN Kids jacket is ideal for all weather conditions, from autumn to cold winter days. 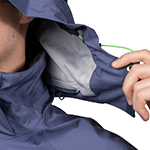 Lightweight nylon material that offers 100% windproof protection, breathable and water-repellent. 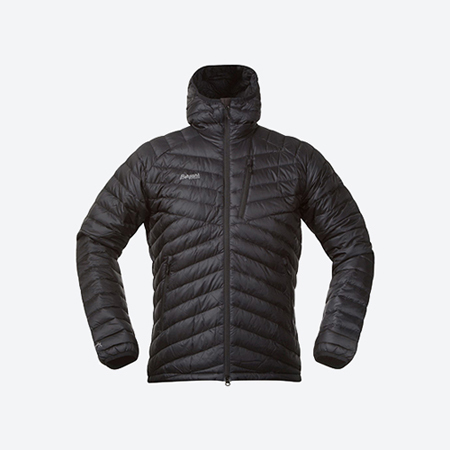 Interior, material Primaloft Black Eco, offering protection from the cold and a feeling of special softness. 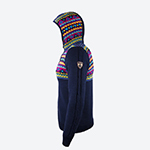 It has a detachable hood and two side pockets. Bluesign® certification for the most environmentally friendly and safe product. 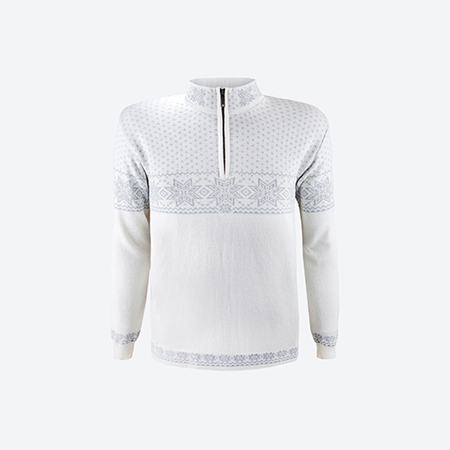 Comfortable, naturally flexible and breathable knit from a fine Merino will ensure optimal thermoregulation. 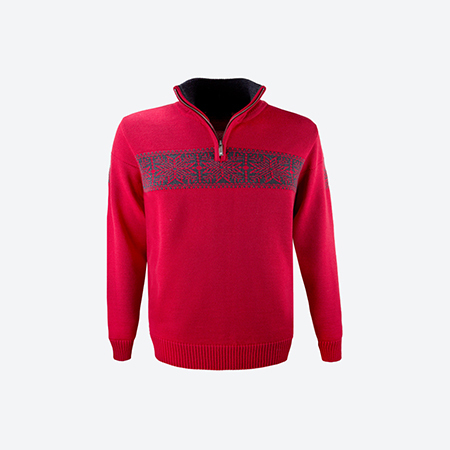 The special Self Cleaning technology treatment protects the sweater from rain, snow, dust, and other impurities. 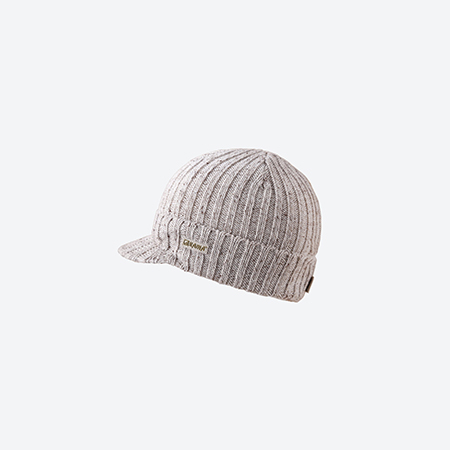 Unicolor cap, lengthened cut with a high patent, decorative braided knitwear with a leather lable. The braided fabric with a three-dimensional pattern is fluffy and bulky without being heavy due to the high quality Schoeller yarn. 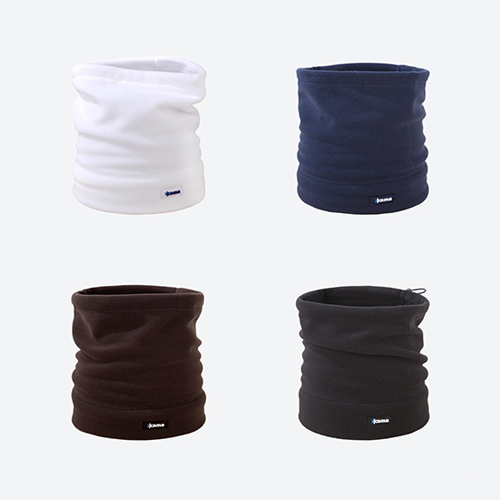 Kama Children’s Fleece Collar «2 in 1» multi-use (collar / cap). A confortable accessory that guarantees the protection of the upper body, head & neck. 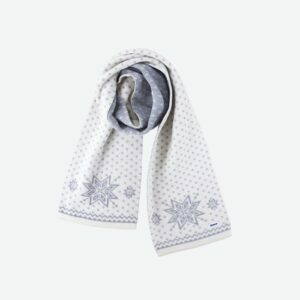 You can use it as a collar, as a neck cover and thanks to the ability to tighten the upper, with an adjustable inner elastic cord, you can convert it to a scarf at the same time. This sweater with a gutsy varicolored pattern with a hoodie is knit with high-quality blended yarn that makes the knitwear fluffy and lightweight. 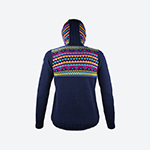 The color pattern complements the braided knitwear on the sides of the sleeves and in the middle of the hood. Uncompromising weather protection. 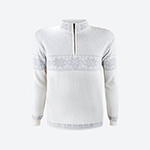 The pure Merino knitwear provides maximum comfort and ideal thermoregulation with low volume. 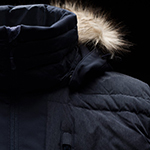 The windproof GORE WINDSTOPPER lining prevents winds from «feeling frosty» while maintaining breathability. Fibers are treated with Self Cleaning technology, resist rain, snow, dust and dirt. Combining the features of this cap has created a world-class unique product with functionality that only KAMA offers. 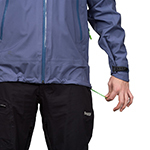 Water repellant, waterproof, breathable, moisture transport outside, thermoregulation and Self Clean features. 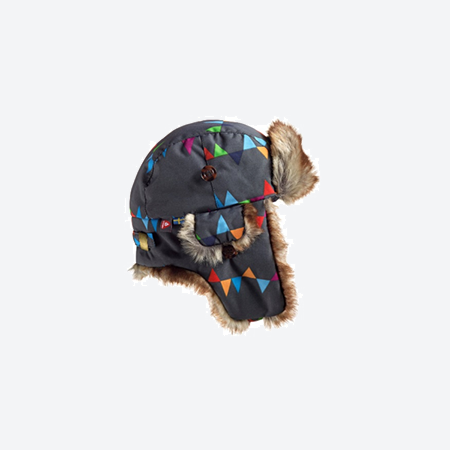 Uncompromising head protection against adverse weather. 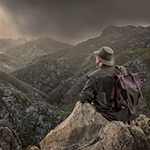 Designed for everyone who needs to be outdoors no matter what weather conditions are predicted. 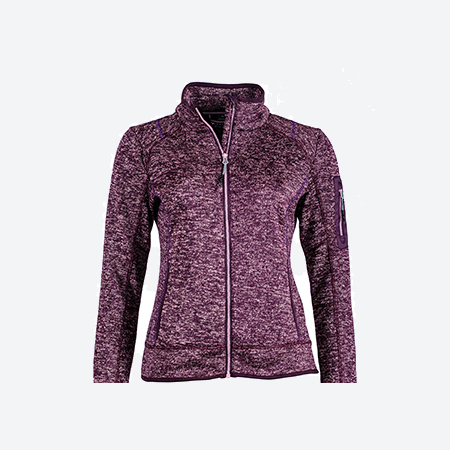 Knitting from pure Merino ensures ideal thermoregulation. The fibers are treated with special Self Cleaning technology treatment for resistance to water, dust, and tiny dirt. 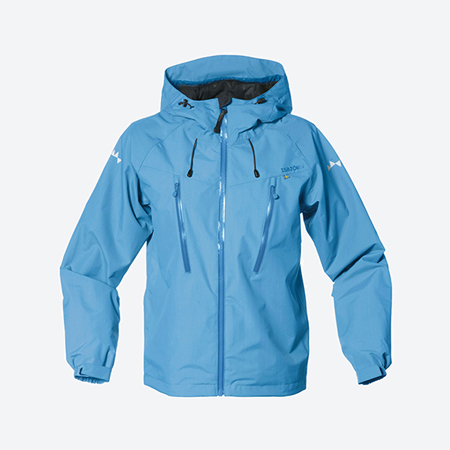 Inside, a breathable, waterproof GORE-TEX lining, which protects against water and wind. The inner part of the fabric is made of Polycolon®, hydrophobic material that drains moisture. Designed for the most extreme climatic conditions. For those who prefer the convenience of a knitted sweater compared to other materials and would like to wear it no matter what the thermometer says well this model is the right fit. Fine Merino will take care of the ideal thermoregulation so it will balance your body temperature. 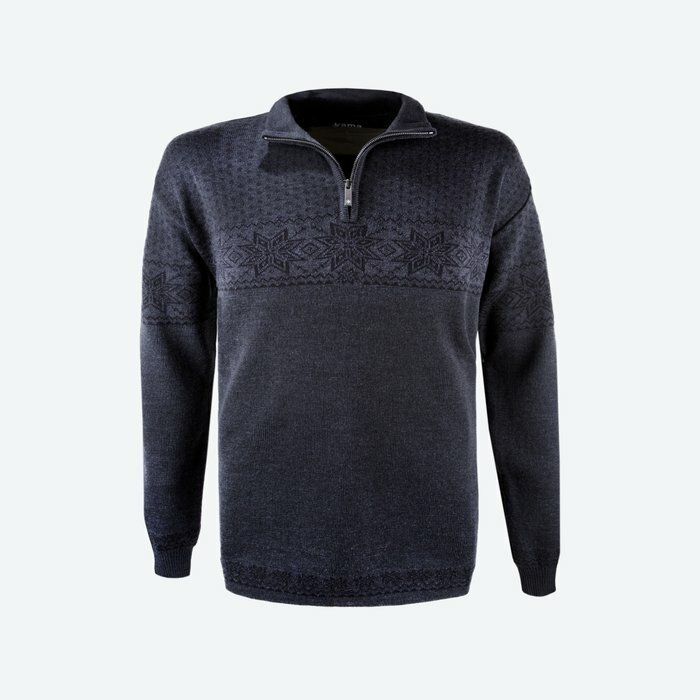 Sprinkling rain, dust, and tiny dirt are all the sweater can handle thanks to the unique protection of Self Cleaning technology fibers. 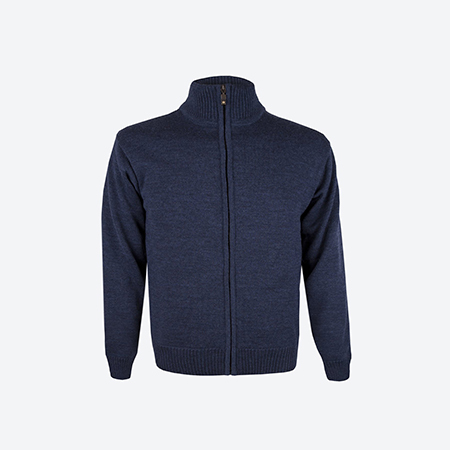 100% Merino wool collar by Kama, with design and Tecnopile ® fleece lining for a feeling of softness and extra protection from the cold. Lightweight unicolor knitted sweater is, due to simplicity of the cut and its quality of natural material suitable for everyday wear. 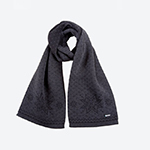 The fine 100% Merino wool fiber has been treated with Self Cleaning technology to repel water and other impurities. 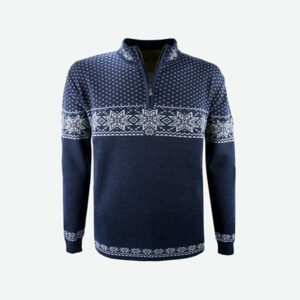 Lightweight knitted Merino sweater with an upright Nordic pattern and a 3/4 collar. 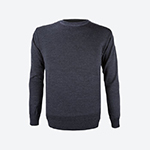 Comfortable, soft and naturally breathable Merino knitted is an option for all who looking for the ability of timeless knitted sweaters made from natural materials. 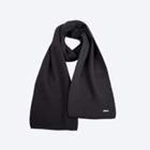 Smooth knitted scarf made of high-quality merino wool forms the basis of winter accessories, and thanks to a simple high quality and simple design, it does not be out one in one season. 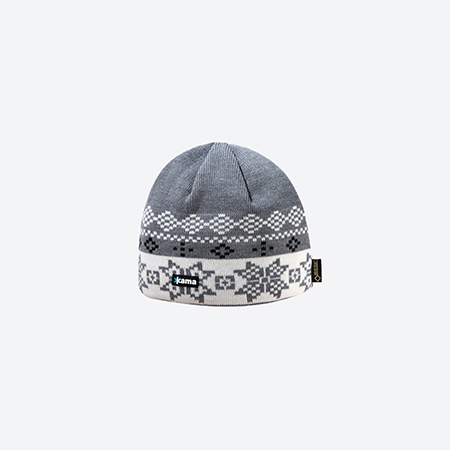 You can also add a beanie in the same design for nice winter combo. 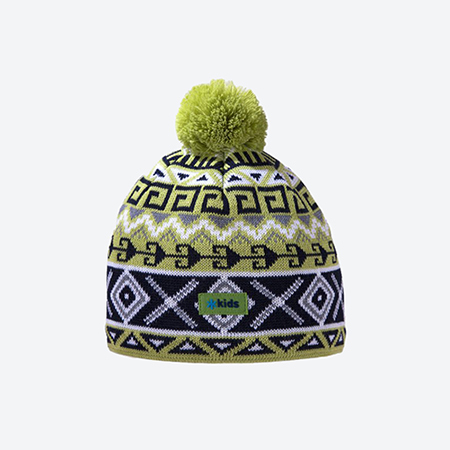 Knitted beanie made from combination of premium functional fibers provides comfort to both the water and the forest enthusiasts. 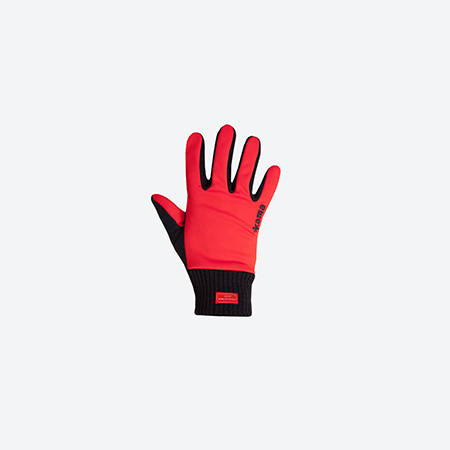 GORE WINDSTOPPER SoftShell windproof gloves have leather-lined palms for greater mechanical resistance and wrist straps for greater wear comfort. 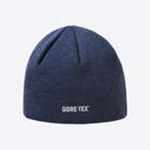 Knitted beanie made of 100% pure Merino, supported by the windproof, breathable GORE WINDSTOPPER membrane, padded with a soft inner Fleece headband for maximum comfort. 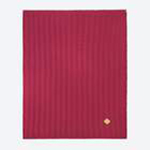 The outer part is treated by unique Self Clean technology which protects fiber from water, stain and dirt. For travelers who incline toward saving space and seek a universal (2in1) solution. 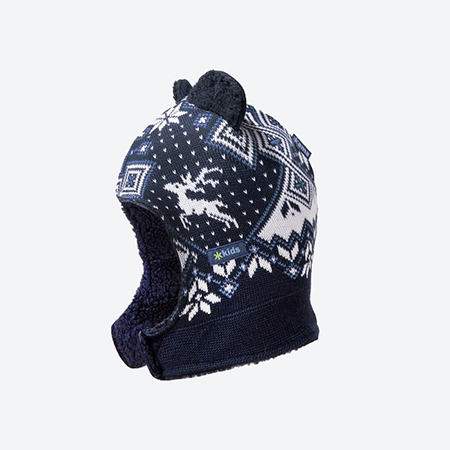 You can use the fine fleece neck warmer as a neck guard and thanks to the tightening of the upper part, you can make a cap with it at the same time. 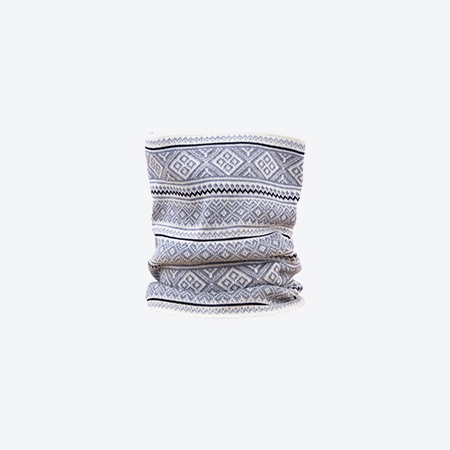 Knitted headband made of a three-dimensional braided design from a combination of premium fibers, Schoeller. 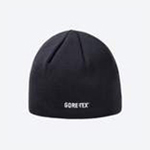 Its interior is from a windproof, breathable GORE WINDSTOPPER membrane that perfectly protects the most important parts of one’s head from receiving a common cold. Elegance and functionality in one. 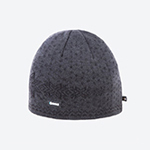 Women’s beanie suitable for city and ski slope with fine Fleece lining is made of monochrome braided knitted fabric. 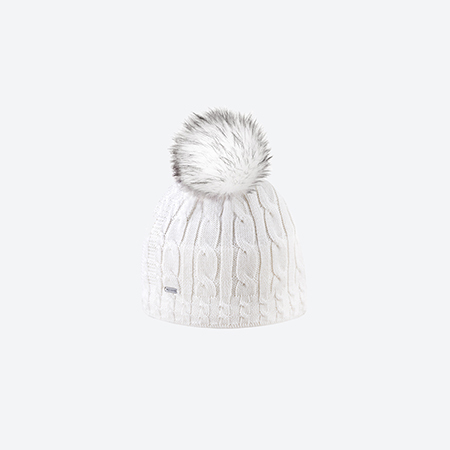 The beanie complements large fur pompom and leather triangular logo label. The lining fine Fleece protecs your ears and forehead against colds. 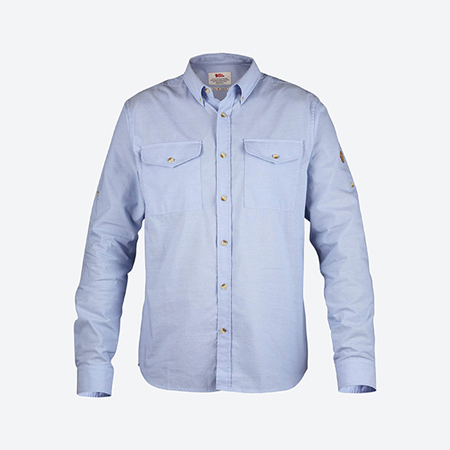 Light and well-ventilated outdoor shirt with long sleeves and regular fit for trekking and travelling in warm climates. Made from lyocell, a viscose-like fibre that effectively wicks away moisture and gives a soft, comfortable feel against the skin. Two chest pockets with flaps and buttons. 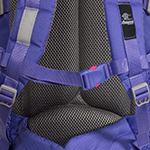 Gussets under the arms for maximum freedom of movement, and a pair of sewn ventilation holes for extra air circulation. Sleeve buttons keep rolled up sleeves in place. The knitted pure-fiber fabric is soft and fluffy, so you’re wrapping in the scarf as if you were floating on a cloud. High-quality material and a unicolor design without decoration from the scarf creates a universal piece of wardrobe that you can re-discover in the upcoming seasons. Kama woman’s beanie, in modern style with design and technical features, is a complete proposal, suitable for everyday use in the city, but also an elegant appearance in the getaways in the countryside, as well as in the winter activities. 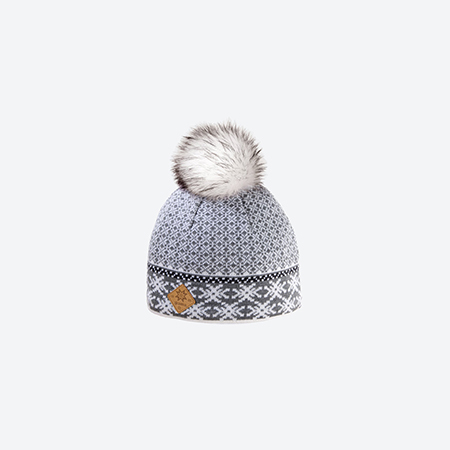 Made of the top Schoeller yarm, with large pompom fur and triangular logo tag. 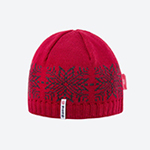 The internal thin Fleece lining, protects your ears and forehead from colds. Yarns are produced in the EU and are subject to strict Bluesign® environmental standards. 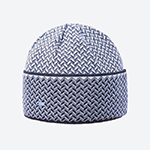 The 100% Merino wool beanie with a delicate two-tone pattern suitably complements the coat or jacket. All materials are made in the EU. 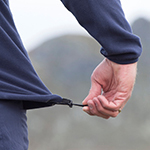 Lightweight and warm trekking shirt with a wide fit. 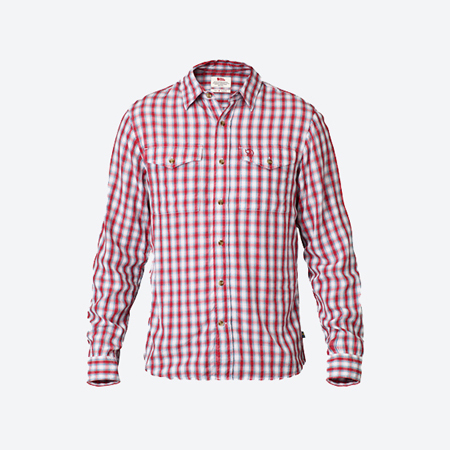 Made of functional polyester flannel which provides excellent insulation, expels moisture and dries quickly. 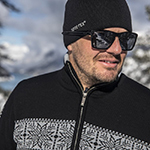 This means the shirt is ideal for activities such as hiking and skiing, both as a base layer closest to the body and as a warm mid layer worn over under garments. 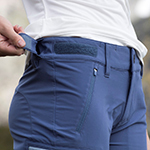 Comfort fit with two chest pockets – one open and one zippered. The discomfort of cold weather can be eased by the pure natural-fiber hat that is easy to maintain. 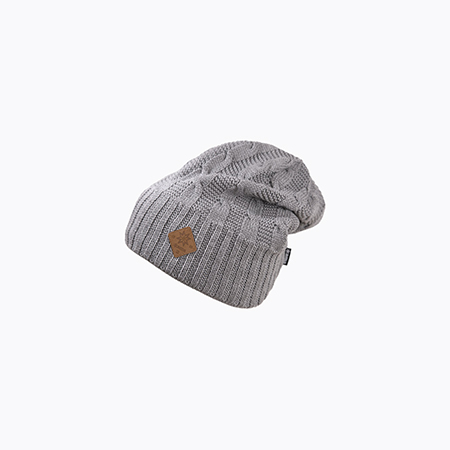 100% Merino wool from which the hat is knitted with a noble certificate of the highest environmental standrard Bluesign®. 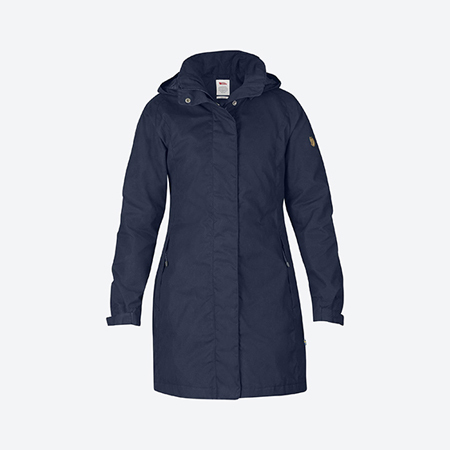 Long, lightly padded women’s parka in G-1000 with waterproof Hydratic membrane. 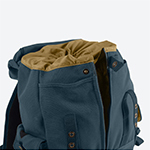 Two side pockets, one inner pocket and a detachable hood. An elegant model with a fine three-dimensional pattern and a pompom ash-colored from an artificial fur will suitably complement, for example, a warm winter coat. 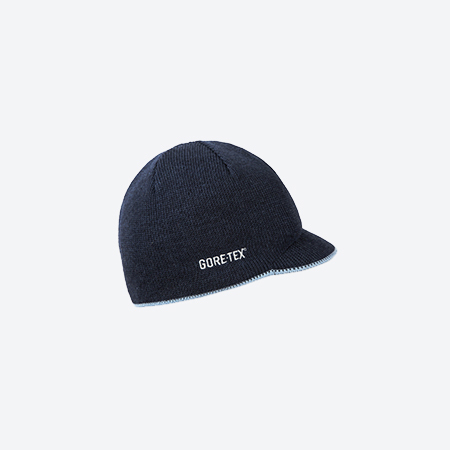 The whole cap is lined with soft fleece lining so you will be warm and in the vast frost. 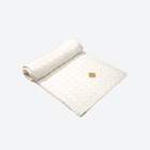 The materials used are of first class quality and are subject to strict environmental standards. 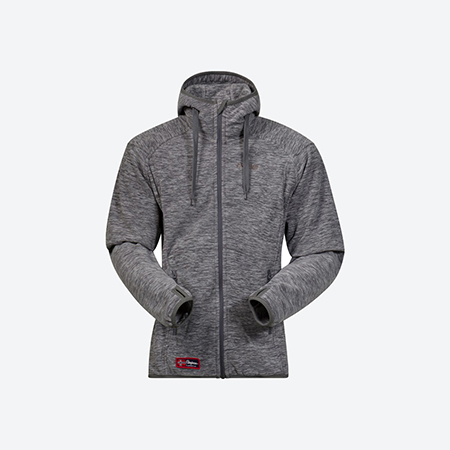 Warm and comfortable fleece jacket in recycled polyester with a knitted exterior. Fixed hood with drawcord adjustment, hand pockets and reinforcements in G-1000. 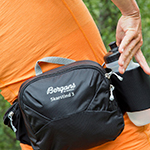 The Skarstind Hip Pack 3 by Bergans, is a smart and practical 3 liter hip pack featuring a wide and comfortable hip belt. 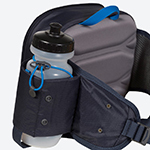 A separate bottle pocket, with its own bottle, gives you easy access to drink. 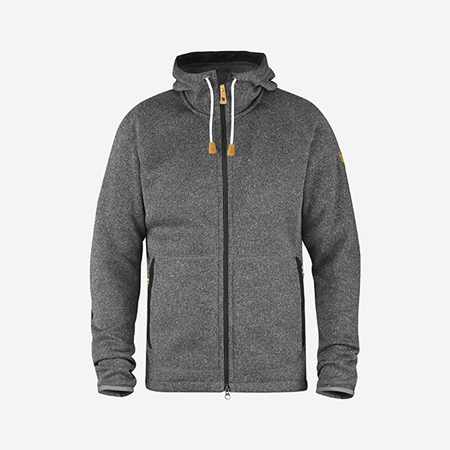 Light and comfortable jacket in mottled Polartec® Bergans fleece. 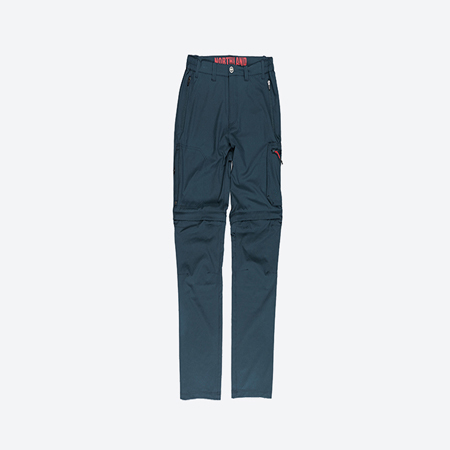 Very lightweight and comfortable softshell pants. Torfinnstind ensures maximum freedom of movement, is wind and water-repellent and efficiently wicks moisture away from the body. 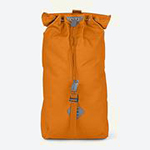 The low packing volume makes Torfinnstind perfectfor all backpacking. 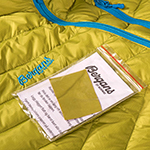 Torfinnstind is part of Bergans’ Slingsby range, which consists of ski touring and mountaineering products in which superior functionality, low weight and premium durability are perfectly balanced. Slingsby provides exactly what’s needed with nothing surplus to requirements! 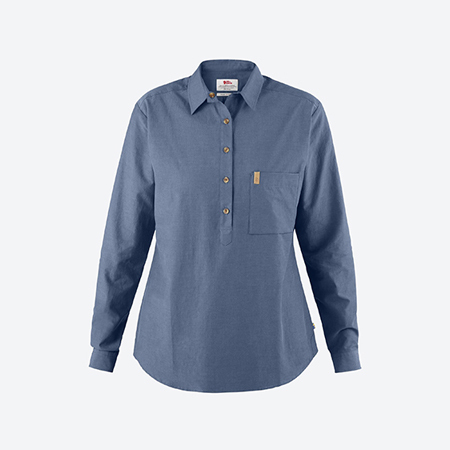 Classic long-sleeved shirt with Comfort Fit in comfortable, cool chambray made from organic cotton. 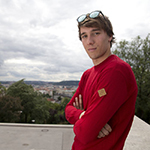 Long-sleeved shirt with Comfort Fit in a comfortable and cool tencel/organic cotton blend. Half-length opening and a chest pocket with a bellow. 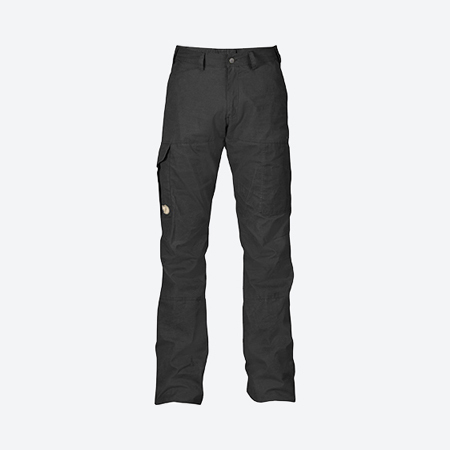 Karl is an outdoor trousers series by fjallraven, that can be used anywhere, such as while hiking in the mountains or at your summer cabin. 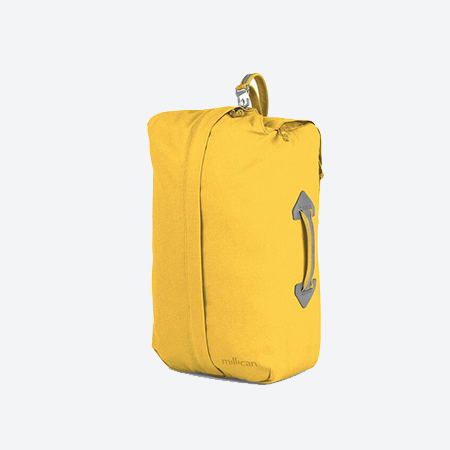 This model is made of durable G-1000® Silent fabric and has a brushed finish. 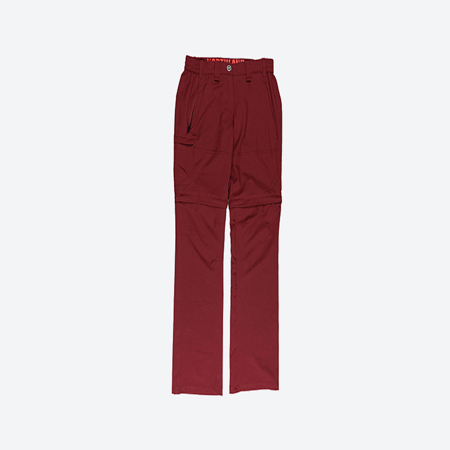 The trousers have a low waist and regular fit. Pre-shaped knees and raw length. Two side pockets, two back pockets, one large leg pocket for maps and one smaller pocket for multi tools. Raw length at the leg ends allows you to adjust the length of the legs exactly as you wish. 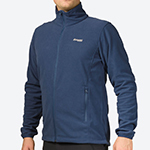 Lightweight and thin Bergans fleece jacket. Provides the required added insulation when the temperature drops. 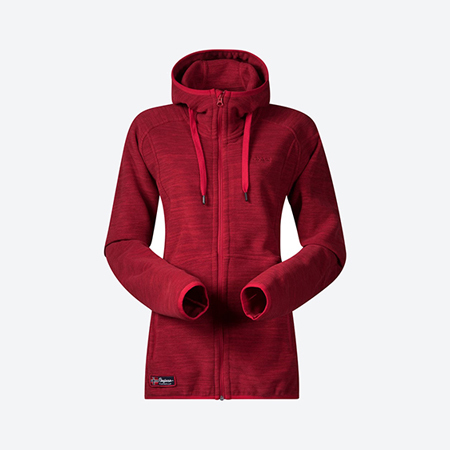 The Park City model, is also available as a women’s code. 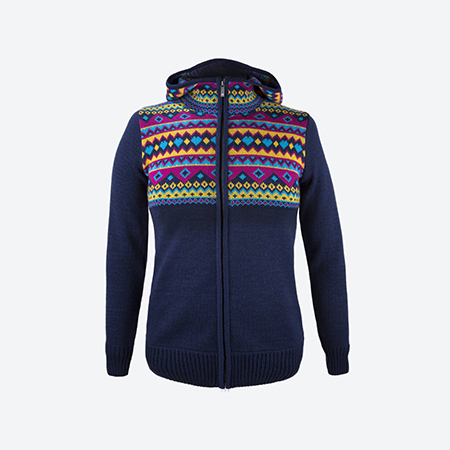 The NFL Lady Knitfleece is a proposal of NORTHLAND which combines style and comfort. 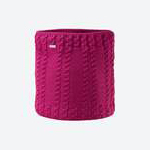 Warm, knit outer and soft brushed inside, with elegant line, in a purple melange color. It has two front pockets and a zip pocket on the left sleeve. Elastic trimming on bottom, sleeve cuff and collar. 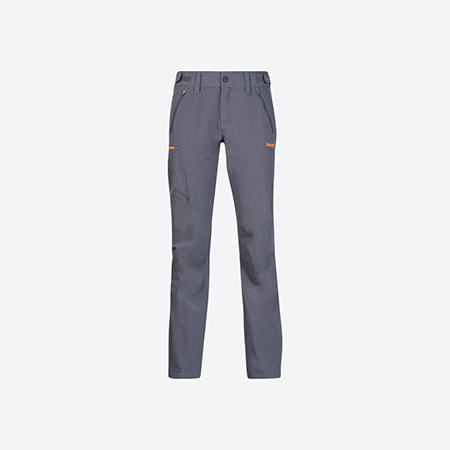 Lightweight trouser by NORTHLAND, the design and the material gives the possibility of durability, but also flexibility for ease of movement. An ideal code for everyday use, for a walk in the city but also for activities outside. Daypack with classic lines and a long history. 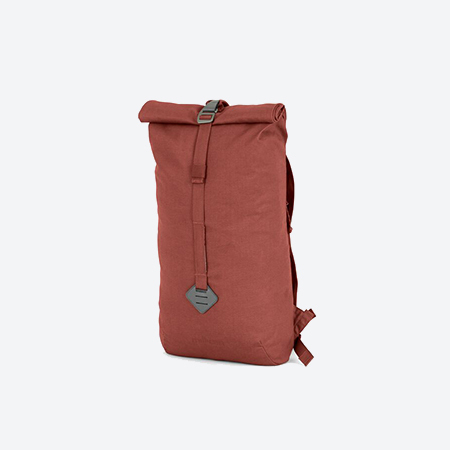 The Knekken II is a modern variant of our daypack from the 1950s, the Knekken. 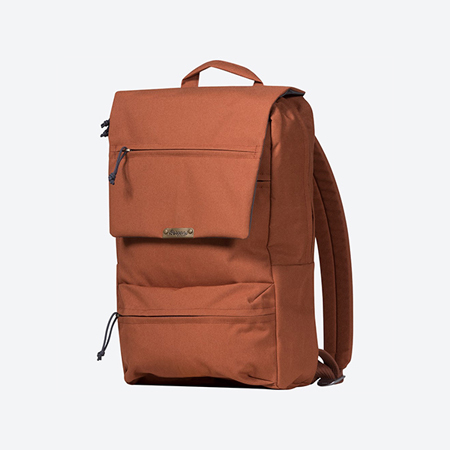 A daypack in a timeless design with the functionality and quality of 2017. The clean lines have been retained. 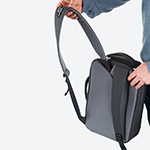 The same is true for the back plate with the smart «kink» («knekken»), which gives its name to the daypack. 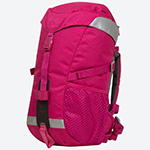 This makes the daypack follow the curvature of your back better and sit comfortably. 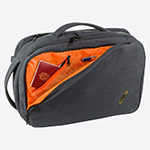 The Knekken II has a large lid and roomy pocket and magnetic closure. The main compartment has been modernized with a laptop sleeve. Main compartment with zip opening at the top. Space for a laptop (MacBook 15″). Front pocket with zip. 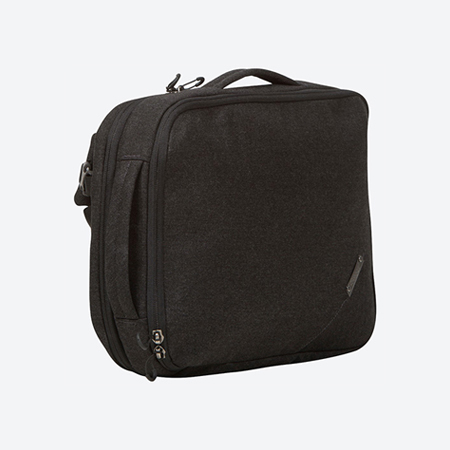 External zip pocket with space for an iPad, for example. External zip pocket on the lid. 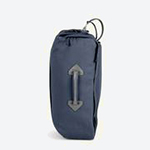 Internal pocket with key attachment clip. Internal laptop sleeve. 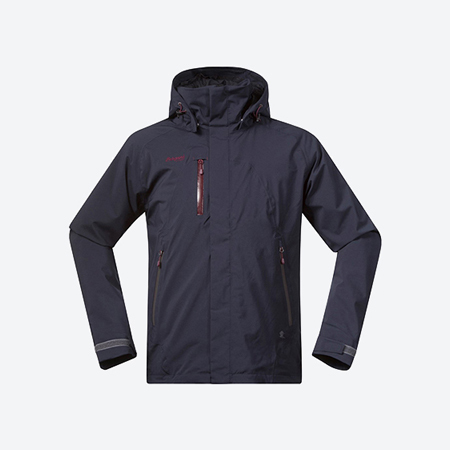 Padded, waterproof, and windproof jacket for versatile use. For those of you who need a waterproof jacket that is warm. SoftShell /down warm hybrid vest that combines the breathability of softshell material with the unique insulating properties of down. 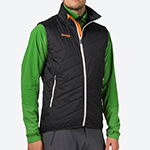 The vest is part of Bergans’ lifestyle and travel range, which consists of smart everyday garments offering the protective properties of technical clothing. 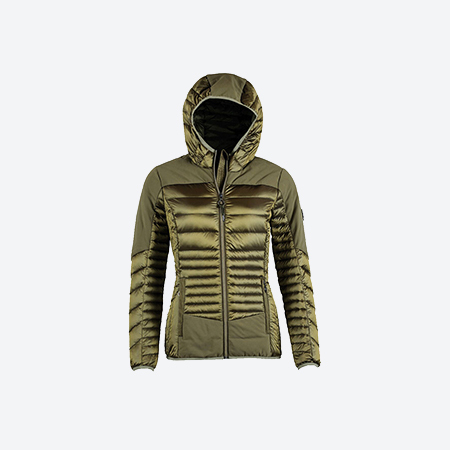 Lightweight jacket in heat-insulating PrimaLoft® Gold Eco Insulation. 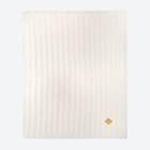 Designed as a reinforcement garment for use as a resting jacket on ski touring, or underneath a shell jacket on cold days. The PrimaLoft® Gold Eco Insulation keeps you warm even when it is wet. 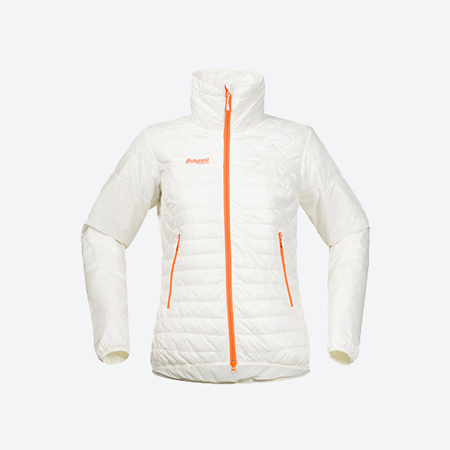 Uranostind is part of Bergans’ Slingsby range, which consists of ski touring and mountaineering products in which superior functionality, low weight and premium durability are perfectly balanced. Slingsby provides exactly what’s needed with nothing surplus to requirements! 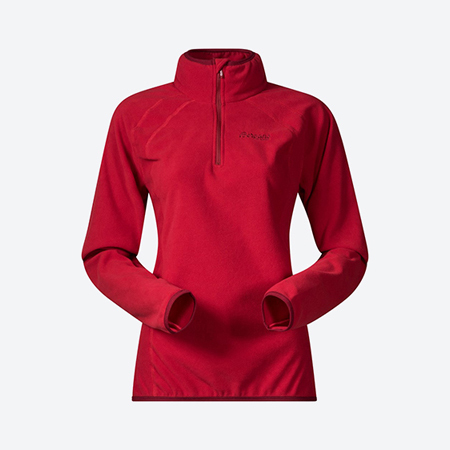 Zip polo in a thin, soft, and comfortable Bergans fleece. The Hareid Lady Jacket is also available as a men’s code. 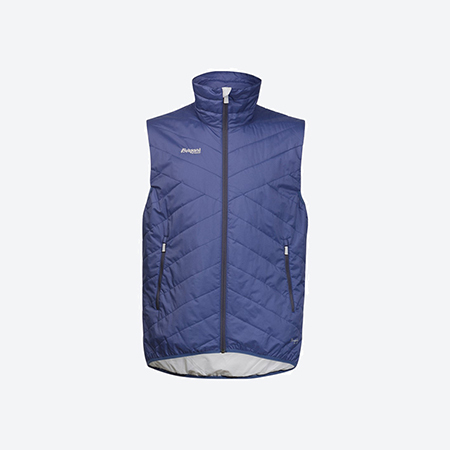 Lightweight vest made in windproof and water-repellent material with an integrated compression pocket for minimum packing volume. Bjørnetind works extremely well as an insulation layer and is indispensable when the temperature drops. The PrimaLoft® Gold Eco Insulation keeps you warm even when it is wet. Use it on your next hike, and it will become a new favorite. 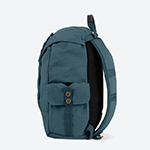 Wear the pack as a messenger bag or the messenger bag as a pack. The choice is yours! 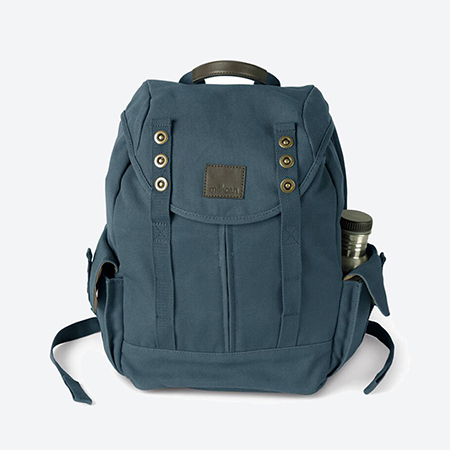 Thanks to the unique carrying system, the pack converts to a messenger bag and vice versa. The conversion is easily achieved in seconds. But Switch Slim is not just smart on the outside. 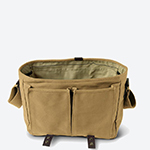 The inside contains pockets and compartments of all sizes, including a padded laptop sleeve. Switch Slim is a narrower and more lightweight version of the standard Switch. 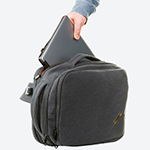 With the Switch Slim, you will be carrying your gear in comfort and style, wherever, whatever, whenever. Laptop sleeve in main compartment. 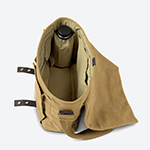 Large front pocket with multiple internal organizer pockets for the same ease of access whether worn as a pack or a messenger bag. 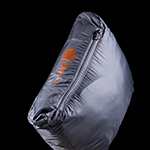 Light and compressible down jacket, specially developed as a reinforcement garment or for stand-alone use on ski touring. Warm enough on cold days, light enough to carry in your backpack. 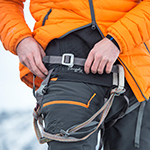 Slingsbytind is part of Bergans’ Slingsby range, which consists of ski touring and mountaineering products in which superior functionality, low weight and premium durability are perfectly balanced. Slingsby provides exactly what’s needed with nothing surplus to requirements! Merino ζακέτα με ένα έντονο πολύχρωμο μοτίβο είναι σχεδιασμένο με υψηλής ποιότητας ανάμεικτα νήματα. Το σχέδιο του χρώματος συμπληρώνει το πλεκτό στο πλάι των μανικιών και στο μέσο της κουκούλας. Μια πρόταση με στυλ από την Kama, για καθημερινή χρήση στην πόλη αλλά και για τις αποδράσεις εκτός. Ελαφρύ μονόχρωμο πλεκτό πουλόβερ, κατάλληλο για καθημερινή χρήση. Η λεπτή ίνα 100% Merino έχει υποστεί επεξεργασία με τεχνολογία «αυτοκαθαρισμού» για να αποκρούει το νερό και την σκόνη. Το πιο εικονικό πορτοφόλι από την Secrid με δύο Cardprotectors να κατέχουν διπλάσιο περιεχόμενο, το Twinwallet φέρει μέχρι 16 κάρτες, αλλά παραμένει συμπαγές σε μέγεθος. Με μεγάλη ποικιλία στυλ και χρώματα, ταιριάζει σε κάθε τσέπη. Ο κατοχυρωμένος με δίπλωμα ευρεσιτεχνίας μηχανισμός σάς επιτρέπει να μεταφέρετε τις κάρτες σας με μία απλή κίνηση, έτοιμη για άμεση χρήση. Το αλουμίνιο προστατεύει από την κάμψη, το σπάσιμο και την ανεπιθύμητη ασύρματη επικοινωνία. Το πιο εικονικό πορτοφόλι από την Secrid με το τέλειο all-rounder. Το Miniwallet είναι συμπαγές σε μέγεθος και εκπληκτικά μεγάλο σε χωρητικότητα αποθήκευσης. Με μεγάλη ποικιλία στυλ και χρώματα, ταιριάζει σε κάθε τσέπη. GORE WINDTSOPPER Kama Merino Wool Shcoeller πλεκτό με αποσπώμενη κουκούλα. Ασφαλής προστασία από τις καιρικές συνθήκες. Τα καθαρά πλεκτά Merino παρέχουν μέγιστη άνεση και ιδανική θερμορύθμιση Η αδιάβροχη επένδυση GORE WINDSTOPPER εμποδίζει τους ανέμους και ταυτόχρονα είναι διαπνέον. Χάρη στη μοναδική προστασία των ινών τεχνολογίας «αυτοκαθαρισμού», αντιστέκεται σε ψεκασμός της βροχής, το χιόνι, την σκόνης και την βρωμιά. 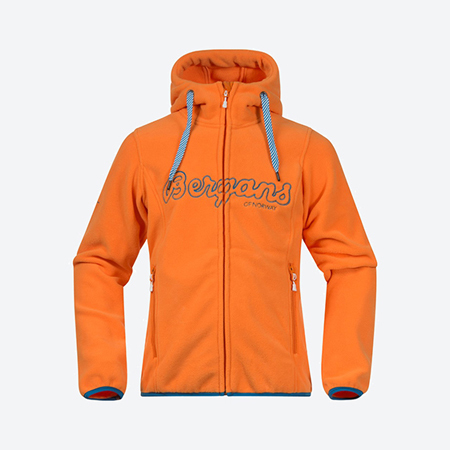 Half Zip πόλο Fleece, λεπτό, μαλακό και άνετο, από την Bergans. Το μοντέλο Ombo, διατίθεται και σε ανδρικό κωδικό. Γυναικείος σκούφος της Kama, με στυλ και τεχνικά χαρακτηριστικά αποτελεί μια ολοκληρωμένη πρόταση, κατάλληλο για καθημερινή χρήση στην πόλη αλλά και μια κομψή εμφάνιση στις αποδράσεις στην εξοχή, αλλά και στις χειμερινές δραστηριότητες. Κατασκευασμένο από το κορυφαίο νήμα Schoeller, με μεγάλο pompom γούνα και δερμάτινη τριγωνική ετικέτα λογότυπου. Η λεπτή επένδυση Fleece προστατεύει τα αυτιά και το μέτωπό σας από τα κρυολογήματα. Ο συνδυασμός των χαρακτηριστικών αυτού του σκούφου έχει δημιουργήσει ένα μοναδικό προϊόν παγκόσμιας κλάσης με λειτουργίες που προσφέρει μόνο η KAMA. Αδιάβροχο, διαπνέον με δυνατότητα εξωτερική μεταφορά υγρασίας, θερμορύθμιση και χαρακτηριστικά Self Clean, προσφέρει μια ασύγκριτη προστασία του κεφαλιού από δυσμενείς καιρικές συνθήκες. Σχεδιασμένο για όλους όσους πρέπει να είναι σε εξωτερικούς χώρους, ανεξάρτητα από τις προβλεπόμενες καιρικές συνθήκες. Το πλέξιμο από το καθαρό Merino εξασφαλίζει την ιδανική θερμορυθμία. Οι ίνες επεξεργάζονται με ειδική επεξεργασία τεχνολογίας Self Cleaning για ανθεκτικότητα σε νερό, σκόνη και μικροσκοπικές ακαθαρσίες. Στο εσωτερικό, μια διαπνέον, αδιάβροχη επένδυση GORE-TEX, η οποία προστατεύει από το νερό και τον άνεμο. Το εσωτερικό μέρος του υφάσματος είναι κατασκευασμένο από Polycolon®, υδρόφοβο υλικό που απομακρύνει την υγρασία. Σχεδιασμένο για τις πιο ακραίες κλιματολογικές συνθήκες. 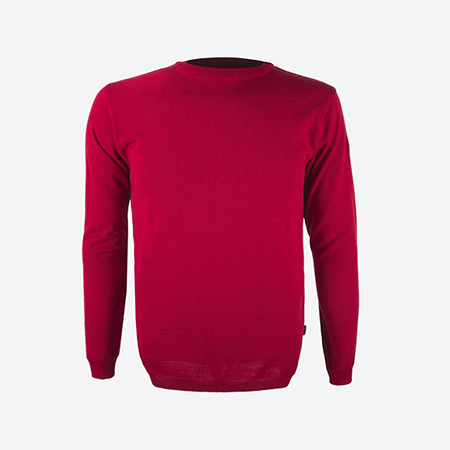 Ελαφρύ πλεκτό πουλόβερ της Kama, 100% merino wool, με σκανδιναβικό σχέδιο και κολάρο ¾.
Άνετο, απαλό και φυσικά διαπνέον Merino πλεκτό, είναι μια επιλογή για όλους όσους αναζητούν τα στοιχεία των διαχρονικών πλεκτών πουλόβερ, που παράγονται από φυσικά υλικά. Απαλή πλεκτή κουβέρτα Kama, 100% Merino wool, μια πρόταση για μια αίσθηση μοναδικής απαλότητας, ένα διαχρονικό πλεκτό που παράγεται με φυσικά υλικά, για μια εμφάνισης με άνεση και στυλ. Η λεπτότερη καθαρή φυσική ίνα από την οποία πλέκεται η κουβέρτα υπόκειται σε αυστηρούς ελέγχους ασφαλείας και η παραγωγή της δεν επιβαρύνει το περιβάλλον. Το SQUIRREL Winter Cap είναι ένα ζεστό και ζεστό χειμερινό παιδικό καπέλο. Η γούνα προσφέρει ένα άνετο «καταφύγιο», προστατεύοντας το παιδί από τον παγωμένο άνεμο και το χιόνι. Υπάρχει μια συσκευή κλεισίματος με velcro κάτω από το πηγούνι, η οποία επίσης διευκολύνει την προσαρμογή για τέλεια εφαρμογή. Στο πίσω μέρος του καλύμματος υπάρχει μια ρυθμιζόμενη πόρπη, ώστε το καπέλο να έχει απόλυτη εφαρμογή πάνω στο κεφάλι. Δέκα μικρά ζωάκια κρύφτηκαν σε ένα λιβάδι με μια λίμνη, ένα παραμύθι που θ’ αγαλλιάσει τους μικρούς μας φίλους. Η πλεκτή κουβέρτα με σχέδιο τοπίου αποτελείται από υψηλής ποιότητας νήματα Schoeller. Η ποιότητά του είναι εγγυημένη από το πιστοποιητικό Bluesign®. Πλεκτό κασκόλ από μαλλί Merino της Kama. Το πλεκτό ύφασμα από καθαρή ίνα είναι μαλακό και λεπτό, προσφέροντας την απόλυτη απαλή αίσθηση, σαν άγγιγμα «σε ένα σύννεφο». Από υψηλής ποιότητας υλικό και ένα μονόχρωμο σχέδιο, αυτό το κασκόλ δημιουργεί ένα κλασικό κομμάτι της γκαρνταρόμπας, για όλες τις χρήσεις στην δουλειά, την βόλτα στην πόλη αλλά και τις εξορμήσεις στην εξοχή. Self Cleaning technology αυτοκαθαρισμού έναντι νερού, λεκέδων και σκόνης. Ο απόλυτος συνδυασμός στη πρόταση της Viking, με το ορειβατικό μποτάκι, Ascent Jr. GTX, κατασκευασμένο από επιλεγμένα υλικά υψηλής τεχνολογίας, καλύπτει την χρήση της καθημερινής δραστηριότητας μέχρι και τις εξορμήσεις στην φύση. Αδιάβροχο αθλητικό παιδικό παπούτσι της Viking με Gore–Tex. Ιδανική πρόταση για καθημερινή χρήση που καλύπτει ποικίλες δραστηριότητες. Τα υποδήματα του παιδιού εκτίθενται σε βαριά χρήση και μπορούν να λερωθούν πολύ. Από την συλλογή των παιδικών υποδημάτων της Viking υπάρχουν κωδικοί που μπορούν να πλυθούν στο πλυντήριο στους 30 βαθμούς. Προσοχή ακολουθήστε οδηγίες κατασκευαστή. Συνδυασμός μεταξύ του αθλητικού και του σανδαλιού, το Saratoga είναι το παιδικό παπούτσι για καθημερινή χρήση σε ζεστές και ξηρές μέρες. Με σπορ στυλ και χαρακτηριστικό η θέρμανση και η υγρασία να εξαερίζονται σχεδόν αμέσως η πρόταση της Viking αποτελεί μια πρόκληση για τους μικρούς αλλά και ενήλικες καθώς το μοντέλο διατίθεται έως 40 νούμερο. Ο ενσωματωμένος ιμάντας παρέχει υποστήριξη και στενή εφαρμογή, ενώ οι ενισχύσεις των δακτύλων και των πτερυγίων παρέχουν πρόσθετη προστασία σε βασικές περιοχές. Τα ελαστικά κορδόνια με δαντέλα κάνουν γρήγορες ρυθμίσεις και η μαλακή σόλα EVA με φυσικό καουτσούκ δίνει υψηλή πρόσφυση σε όλες τις επιφάνειες. για χρήση εντός και εκτός πόλης. Μαλακό πάτημα με πολύ καλή πρόσφυση, εξαιρετικά σταθερό, με προστασία από την υγρασία. Επιπλέον στήριξη στον αστράγαλο και με ενδιάμεση σόλα EVA που ανακουφίζει σε κάθε βήμα. Rubber σόλα για εξαιρετική πρόσφυση σε πάγο ή χιόνι. Πλένονται στο πλυντήριο στους 30 βαθμούς (ΠΡΟΣΟΧΗ! Συμβουλευτείτε τον κατασκευαστή ακολουθόντας τις σχετικές οδηγίες). Ένα νέο δερμάτινο μαλακό, ελαφρύ και άνετο παπούτσι με στυλ από την εταιρία Viking που μπορεί να φορεθεί παντού, ιδανικό για ολοήμερη εργασία ή περίπατο στη πόλη αλλά και εκτός. Ελαφρύ και καλά αεριζόμενο υπαίθριο πουκάμισο της Fjallraven, με μακρύ μανίκι και κανονική εφαρμογή, ιδανικό για πεζοπορία και ταξίδια σε ζεστά κλίματα. Κατασκευασμένο από lyocell, μια ίνα που μοιάζει με βισκόζη που απομακρύνει αποτελεσματικά την υγρασία και δίνει μια απαλή, άνετη αίσθηση στο δέρμα. Δυο θωρακικές τσέπες με πτερύγια και κουμπιά. Κλίβανοι κάτω από τα χέρια για μέγιστη ελευθερία κίνησης και ένα ζευγάρι τρύπες εξαερισμού για μεγαλύτερη κυκλοφορία αέρα. Το Karl είναι από την σειρά υπαίθριων παντελονιών της Fjallraven, που μπορεί να χρησιμοποιηθεί οπουδήποτε, και σε όλες τις εποχές. Ιδανικό για πεζοπορία στα βουνά και γενικά υπαίθριες δραστηριότητες αλλά και για μια βόλτα στην πόλη. Το ακατέργαστο μήκος στα άκρα των ποδιών σας επιτρέπει να προσαρμόσετε το μήκος του παντελονιού ακριβώς όπως θέλετε. Ελαφρύ γυναικείο παντελόνι της NORTHLAND, ο σχεδιασμός και το υλικό δίνει τη δυνατότητα αντοχής, αλλά και ευελιξία για την ευκολία στην κίνηση. Ένα ιδανικό μοντέλο για καθημερινή χρήση, για μια βόλτα στην πόλη αλλά και για υπαίθριες δραστηριότητες. Eλαφρύ παντελόνι της NORTHLAND, ο σχεδιασμός και το υλικό δίνει τη δυνατότητα αντοχής, αλλά και ευελιξία για την ευκολία στην κίνηση. Ένα ιδανικό μοντέλο για καθημερινή χρήση, για μια βόλτα στην πόλη αλλά και για υπαίθριες δραστηριότητες. To Hip Pack 3 της Bergans, είναι ένα έξυπνο και πρακτικά σχεδιασμένο ισχίων 3 λίτρων με μεγάλη και άνετη ζώνη ισχίου. Μια ξεχωριστή θήκη για μπουκάλια, με τη δική της φιάλη, σας δίνει εύκολη πρόσβαση σε νερό ή ισοτονικά ροφήματα. Σε περίπτωση που δεν χρειάζεστε την μποτίλια, αφαιρείτε και το σημείο της θήκης της διπλώνει και κουμπώνει πάνω στο υπόλοιπο σώμα, δίνοντας μεγαλύτερη εργονομία και άνεση στην μεταφορά. Εξωτερική θήκη μπουκαλιού με ελαστικό ιμάντα ασφαλείας για σταθερότητα. Μια πρόταση της Bergans μιας πολυμορφικής τσάντας για επαγγελματική χρήση αλλά και σύντομα ταξίδια. Ο έξυπνος σχεδιασμός της επιτρέπει πολλαπλές λειτουργικές εφαρμογές μεταφοράς όπως ως τσάντα messager ή σακίδιο daypack, αλλά και τσάντα χειρολαβής. Η μετατροπή επιτυγχάνεται εύκολα σε δευτερόλεπτα. Στο εσωτερικό περιλαμβάνει θήκες και διαμερίσματα όλων των μεγεθών, συμπεριλαμβανομένου και θήκης laptop. Μια τσάντα που σας εξασφαλίζει άνεση και στιλ, οπουδήποτε. Μεγάλη μπροστινή τσέπη με πολλαπλές εσωτερικές τσέπες διοργανωτών για την ίδια ευκολία πρόσβασης είτε φοριέται ως σακίδιο είτε ως αγγελιοφόρος. Ιμάντες στο πίσω μέρος για χρήση ως σακίδιο, που καλύπτονται στο εσωτερικό, σε περίπτωση αλλαγής χρήσης φορέματος. Πρωτοποριακό σχολικό σακίδιο Bergans διαθέτει το QuickAdjust ™ II, για ρύθμιση της πλάτης. Χάρη σε αυτό το σύστημα, το σακίδιο είναι εύκολα προσαρμόσιμο στο μήκος της πλάτης του παιδιού. Προσφέρει ένα μεγάλο, ευρύχωρο κύριο διαμέρισμα και πολλές εύχρηστες τσέπες για να διευκολύνεται η οργάνωση της σχολικής ημέρας. Διαθέτει επίσης διακοσμητικές αντανακλαστικές λεπτομέρειες. Daypack Bergans με κλασικές γραμμές και μεγάλη ιστορία. Ένα daypack σε ένα διαχρονικό σχέδιο με τη λειτουργικότητα και την ποιότητα του σήμερα. Έχει ένα μεγάλο κάλυμμα και ευρύχωρο τσέπη και μαγνητικό κλείσιμο. Το κυρίως διαμέρισμα έχει εκσυγχρονιστεί με θέση για Laptop. Το bestselling Nordkapp Jr σακίδιο της Bergans, έχει σχεδιαστεί για να δώσει στα παιδιά μεγαλύτερη ανεξαρτησία και άνεση όταν εξερευνούν το περιβάλλον ή στο δρόμο τους προς το σχολείο. Το σακίδιο είναι κατασκευασμένο από ένα εξαιρετικά ανθεκτικό υλικό. Το Bryggen είναι ένα fleece με κουκούλα απαλό και άνετο, με λογότυπο της Bergans κεντημένο στο στήθος. 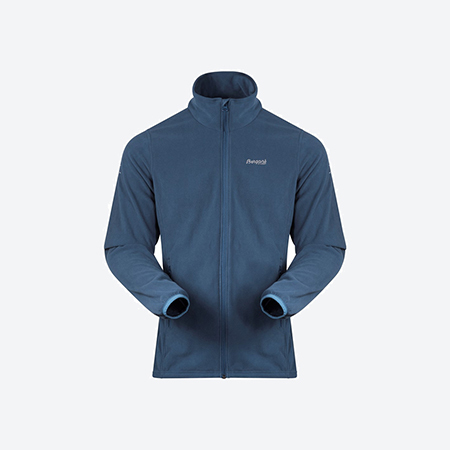 Ελαφρύ και άνετο Polartec® fleece της Bergans. Συνδυασμός κομψότητας και άνεσης στο παντελόνι softshell της Bergans. Πολύ ελαφρύ και άνετο, εξασφαλίζει μέγιστη ελευθερία κινήσεων, με υδατοαπωθητική και αιολική αντίσταση, απομακρύνει την υγρασία από το σώμα. Ανήκει σε σειρά προϊόντων περιπάτου, ή σκι και ορειβασίας, στα οποία η ανώτερη λειτουργικότητα, το χαμηλό βάρος και η ανθεκτικότητα είναι εξαιρετικά ισορροπημένες. Η Kama είναι η μόνη επωνυμία που χρησιμοποιεί τη μεμβράνη GORE® WINDSTOPPER® ακόμα και στα παιδικά σκουφιά. Αυτό το σκουφί με το αρχικό σκανδιναβικό στιλ είναι απόλυτα αδιάβροχο και διαπνέον. Χάρη στην «αναπνοή», αποφεύγεται ο εφίδρωση, αλλά το κεφάλι προστατεύεται από τον άνεμο και τα κρύα. Ένα πρακτικό μοντέλο σε στυλ balaclava της Kama για τα νήπια. Εσωτερική εξτρά επένδυσή με ένα μαλακό μαλλί για άνεση και επιπλέον προστασία από το κρύο. Το κλείσιμο τύπου velcro εξασφαλίζει πολύ καλή εφαρμογή. Τα υλικά που χρησιμοποιούνται, υπόκεινται στους αυστηρότερους ελέγχους ποιότητας και ασφάλειας. Παιδικό Fleece περιλαίμιο της Kama «2 σε 1» πολλαπλής χρήσης (περιλαίμιο/σκούφι). Ένα πολυμορφικό αξεσουάρ που εγγυάται την προστασία του άνω μέρους του σώματος, κεφάλι & λαιμό. Μπορείτε να χρησιμοποιήσετε ως περιλαίμιο, σαν κάλυμμα λαιμού και χάρη στη δυνατότητα σύσφιξη του άνω μέρους, με ρυθμιζόμενο εσωτερικό ελαστικό κορδόνι, μπορείτε να το μετατρέψετε ταυτόχρονα σ’ ένα σκουφί. Παιδικό σκουφί Kama με ινδικό μοτίβο σχεδίου και pompom. Τόσο το μέγεθος όσο και το σχέδιο ταιριάζουν στα μεγαλύτερα παιδιά. Εσωτερική επένδυση από fleece που προσφέρει επιπλέον προστασία από το κρύο και άνεση. 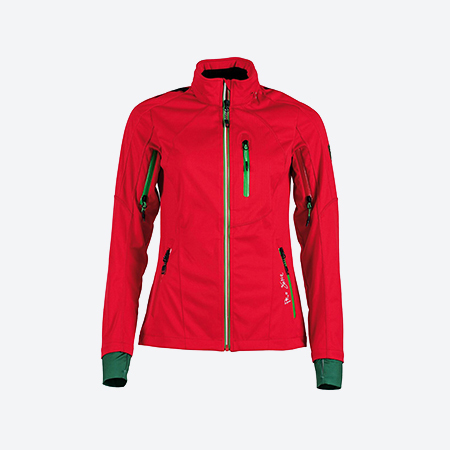 Πλεκτό Merino GORE® WINDSTOPPER® σκούφος Kama. Μια ιδιαίτερη πρόταση ενός πλεκτού σκούφου, κατασκευασμένου από συνδυασμό κορυφαίων ινών Schoeller 100% Merino wool, που στηρίζονται από την αδιάβροχη, διαπνέον και αντιανεμική μεβράνη GORE® WINDSTOPPER®, και με εσωτερική επένδυση από μαλακό Fleece, για μέγιστη άνεση. Fleece περιλαίμιο της Kama «2 σε 1» πολλαπλής χρήσης (περιλαίμιο/σκούφι). Για τους ταξιδιώτες που προσανατολίζονται προς την εξοικονόμηση χώρου και αναζητούν μια καθολική (2σε1) λύση. Πουλόβερ Kama, 100% Merino με σχέδιο σε σκανδιναβικό μοτίβο. Άνετα, φυσικά εύκαμπτα και διαπνέοντα πλεκτά από ένα λεπτό Merino, θα εξασφαλίσουν τη βέλτιστη θερμορύθμιση. Η ειδική επεξεργασία τεχνολογίας Self Cleaning προστατεύει το πουλόβερ από τη βροχή, το χιόνι, τη σκόνη και λεκέδες. Όλα τα προϊόντα ISBJÖRN Hard Shell είναι κατασκευασμένα είτε από πιστοποιημένο υλικό bluesign® 2- ή 3-στρωμάτων, με μεμβράνη που παρέχει στήλη νερού 15.000 mm και εξαιρετική ικανότητα αερισμού 15.000 gr / m2 / 24hrs. Τα προϊόντα αυτά είναι σφραγισμένα 100% και προσφέρουν αδιάβροχα φερμουάρ με την υψηλότερη ποιότητα από την YKK®. Αντανακλαστικές λεπτομέρειες που λάμπουν στο σκοτάδι, σε διάφορα σημεία. Τελευταίο αλλά εξίσου σημαντικό, το φινίρισμα για αντίσταση στο νερό (DWR) είναι πάντα100% χωρίς carbon. Πλένεται με παρόμοια χρώματα και με υγρής μορφής απορρυπαντικό. Χωρίς μαλακτικό υφασμάτων και λευκαντικό. (Προσοχή:συμβουλευτείτε τις οδηγίες του συσκευαστή). Το παιδικό μπουφάν Frost Primaloft ISBJORN είναι ιδανικό για όλες τις καιρικές συνθήκες, από την φθινοπωρινή περίοδο μέχρι τις κρύες χειμερινές ημέρες. Ελαφρύ νάιλον υλικό που προσφέρει 100% αντιανεμική προστασία, διαπνέον και με ιδιότητα απωθητικότητας νερού. Εσωτερικό, υλικό Primaloft Black Eco, που προσφέρει προστασία από το κρύο και αίσθηση ιδιαίτερης απαλότητας. Έχει αποσπώμενη κουκούλα και δυο πλαϊνές εξωτερικές τσέπες. Αντανακλαστικές λεπτομέρειες που λάμπουν στο σκοτάδι. Πιστοποίηση Bluesign® για το πιο φιλικό προς το περιβάλλον και ασφαλές προϊόν. Το παιδικό φορμάκι Frost Primaloft ISBJORN είναι ιδανικό για όλες τις καιρικές συνθήκες, εξασφαλίζοντας για το μωρό μια ισορροπημένη κατάλληλη θερμοκρασία. Ελαφρύ με 100% αντιανεμική προστασία, διαπνέον και με ιδιότητα απωθητικότητας νερού. Υλικό Primaloft Black Eco, που προσφέρει προστασία από το κρύο και αίσθηση ιδιαίτερης απαλότητας. Συνεχόμενο φερμουάρ από το κολάρο μέχρι κάτω στο πόδι. Πιστοποίηση Bluesign® για το πιο φιλικό προς το περιβάλλον και ασφαλές προϊόν. 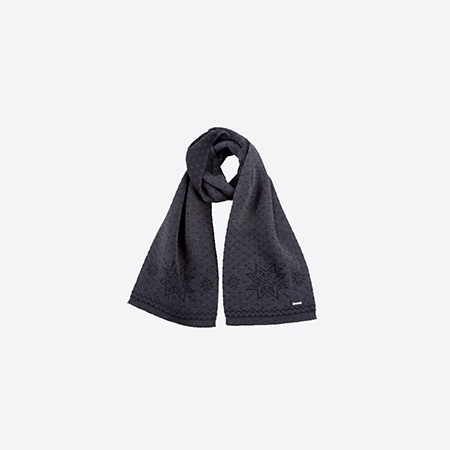 Γυναικεία πλεκτός σκούφος Merino wool Kama. Με σχέδιο σ’ ένα λεπτό μοτίβο δύο τόνων συμπληρώνει καταλλήλως το παλτό, το σακάκι ή το μπουφάν, για εμφανίσεις με στυλ και άνεση, σε κάθε εξόρμηση εντός και εκτός πόλης. Όλα τα υλικά κατασκευάζονται στην ΕΕ. Γυναικείος σκούφος με λεπτό σχέδιο και pom pom, μια πρόταση για εμφανίσεις με στυλ και άνεση, στην την πόλη και την εξοχή. Η εσωτερική επένδυση από fleece εξασφαλίζει απαλή αίσθηση και βέλτιστη προστασία. Τα νήματα Schoeller κατασκευάζονται στην ΕΕ και υπόκεινται στο οικολογικό πρότυπο του Bluesign®. Πλεκτό κασκόλ της Kama με παραδοσιακό σχέδιο, κατασκευασμένη από υψηλής ποιότητας μαλλί merino, αποτελεί τη βάση των χειμερινών αξεσουάρ. Ο συνδυασμός των χαρακτηριστικών του, έχει δημιουργήσει ένα μοναδικό προϊόν παγκόσμιας κλάσης, με λειτουργίες που προσφέρει μόνο η KAMA. Το πλέξιμο από το καθαρό Merino μαλλί εξασφαλίζει την ιδανική θερμορυθμία. Οι ίνες επεξεργάζονται με ειδική επεξεργασία τεχνολογίας Self Cleaning για ανθεκτικότητα σε νερό, σκόνη και μικροσκοπικές ακαθαρσίες. Η αδιάβροχη και διαπνέον GORE–TEX επένδυση, προστατεύει από το νερό και τον άνεμο. Το εσωτερικό μέρος του υφάσματος είναι κατασκευασμένο από Polycolon®, υδρόφοβο υλικό που απομακρύνει την υγρασία. Σχεδιασμένο για τις πιο ακραίες κλιματολογικές συνθήκες. Κεφαλής κορδέλα Kama, τρισδιάστατου σχεδίου, πλεκτό ύφασμα που αναπνέει από συνδυασμό ινών υψηλής ποιότητας, Schoeller. Στο εσωτερικό έχει ιταλικό fleece, χάρη στο οποίο το headband στηρίζεται τέλεια και δημιουργεί μια επιπλέον αίσθηση άνεσης. Μονόχρωμος μάλλινος σκούφος της Kama, με τρισδιάστατο σχέδιο πλέξης, είναι χνουδωτό και ογκώδες, χωρίς να είναι βαρύ λόγω της υψηλής ποιότητας νήμα Schoeller. Μια πρόταση για όλες τις ώρες, που προσφέρει στυλ, ζεστασιά και άνεση. Πλεκτή αδιάβροχη κεφαλής κορδέλα GORE WINDSTOPPER. Κατασκευασμένη από τρισδιάστατο πλεκτό σχέδιο με συνδυασμό ινών premium, Schoeller. Το εσωτερικό του είναι από μια αδιάβροχη, διαπνέουσα μεμβράνη GORE WINDSTOPPER, που προστατεύει τέλεια τα πιο σημαντικά μέρη του κεφαλιού από άνεμο και κρύο. Ένας συνδυασμός κομψότητα και λειτουργικότητα. 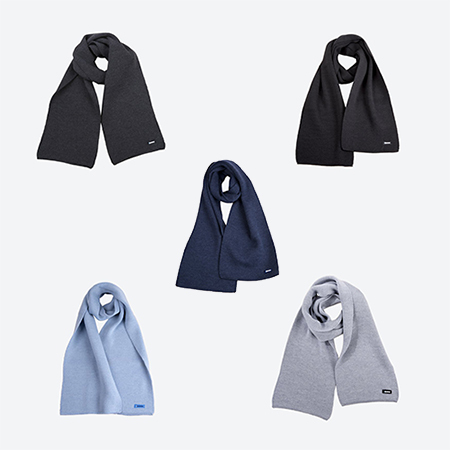 Πλεκτό 100% merino wool περιλαίμιο της Kama, με σχέδιο και εσωτερική επένδυση Tecnopile ®Fleece για αίσθηση απαλότητας και επιπλέον προστασίας από το κρύο. Πλεκτό μάλλινο παιδικό σκουφάκι Kama, με σκανδιναβικό μοτίβο στο σχέδιο και προέκταση που προστατεύει τα αυτιά. Εσωτερική επένδυση από λεπτή ποιότητα fleece. για επιπλέον αίσθηση άνεσης και προστασία από το κρύο. Παιδικό μάλλινος σκούφος Kama, με πολύχρωμα σχέδια και φούντες. Ένα ιδιαίτερο σχέδιο που καλύπτει τ ΄αυτιά για την καλύτερη προστασία, με χαρούμενο ινδικό μοτίβο, κάνει αυτό το παιδικό σκούφο πολύ πρακτικό. Εσωτερικά υπενδεδυμένο με Fleece Tecnopile® για μεγαλύτερη αίσθηση άνεσης και προστασίας από το κρύο. Πλεκτός σκούφος με γείσο της Kama, από συνδυασμό κορυφαίων λειτουργικών ινών, παρέχει άνεση τόσο στους λάτρεις του νερού όσο και στους λάτρεις των δασών. Παράλληλα αποτελεί και μια πρόταση για εμφάνιση με στυλ στις καθημερινές βόλτες εντός πόλης. Το πλέξιμο από το καθαρό Merino μαλλί εξασφαλίζει την ιδανική θερμορυθμία. Τα νήματα Schoeller κατασκευάζονται στην ΕΕ και υπόκεινται στο οικολογικό πρότυπο της υψηλότερης περιβαλλοντικής standart Bluesign®. Ένα κομψό μοντέλο στην γυναικεία σειρά της Kama, με ένα λεπτό τρισδιάστατο μοτίβο σχεδίου και μία τέφραs χρώματος τεχνητή γούνα pompom, θα συμπληρώσει κατάλληλα, μια χειμερινή εμφάνιση στην πόλη ή την εξοχή. Εσωτερική μαλακή επένδυση από fleece για απαλή αίσθηση και απόλυτη κάλυψη από το κρύο. Τα υλικά που χρησιμοποιούνται είναι πρώτης ποιότητας και υπόκεινται σε αυστηρά περιβαλλοντικά πρότυπα. Γυναικείος σκούφος της Kama, σε μοντέρνο στυλ με σχέδιο και τεχνικά χαρακτηριστικά αποτελεί μια ολοκληρωμένη πρόταση, κατάλληλο για καθημερινή χρήση στην πόλη αλλά και μια κομψή εμφάνιση στις αποδράσεις στην εξοχή, αλλά και στις χειμερινές δραστηριότητες. Κατασκευασμένο από το κορυφαίο νήμα Schoeller, με μεγάλο pompom γούνα και δερμάτινη τριγωνική ετικέτα λογότυπου. Η λεπτή εσωτερική επένδυση Fleece προστατεύει τα αυτιά και το μέτωπό σας από τα κρυολογήματα. Τα νήματα παράγονται στην ΕΕ και υπόκεινται σε αυστηρά οικολογικά πρότυπα Bluesign®. Softshell αδιάβροχα αντιανεμικά γάντια GORE WINDSTOPPER της Kama, με δερμάτινη εσωτερική ενίσχυση στις παλάμες για μεγαλύτερη αντοχή, άνεση και εφαρμογή. Πλεκτό αδιάβροχο Merino GORE-TEX σκούφος.Ο συνδυασμός των χαρακτηριστικών αυτού του σκούφου έχει δημιουργήσει ένα μοναδικό προϊόν παγκόσμιας κλάσης με λειτουργίες που προσφέρει μόνο η KAMA. Το πλέξιμο από το καθαρό Merino εξασφαλίζει την ιδανική θερμορυθμία. Οι ίνες επεξεργάζονται με ειδική επεξεργασία τεχνολογίας Self Cleaning για ανθεκτικότητα σε νερό, σκόνη και μικροσκοπικές βρωμιές. Η αδιάβροχη και διαπνέον GORE–TEX επένδυση, προστατεύει από το νερό και τον άνεμο. Το εσωτερικό μέρος του υφάσματος είναι κατασκευασμένο από Polycolon®, υδρόφοβο υλικό που απομακρύνει την υγρασία Ασύγκριτη προστασία του κεφαλιού από δυσμενείς καιρικές συνθήκες. Σχεδιασμένο για όλους όσους πρέπει να είναι σε εξωτερικούς χώρους, ανεξάρτητα από τις προβλεπόμενες καιρικές συνθήκες. Σχεδιασμένο για τις πιο ακραίες κλιματολογικές συνθήκες. Για όσους προτιμούν την άνεση ενός πλεκτού σε σύγκριση με άλλα υλικά και θα ήθελαν να το φορούν ανεξάρτητα από το τι λέει το θερμόμετρο, σε κάθε εξόρμηση τους εντός και εκτός πόλης. Το Fine Merino θα φροντίσει για την ιδανική θερμορυθμία, ώστε να εξισορροπήσει τη θερμοκρασία του σώματός σας. Χάρη στη μοναδική προστασία των ινών τεχνολογίας αυτοκαθαρισμού. αντιστέκεται σε ψεκασμός της βροχής, την σκόνης και τις μικροσκοπικές βρωμιές. Μακρύ, γυναικείο Jacket σε ανθεκτικό G-1000 Fjallraven, με αδιάβροχη μεμβράνη και ελαφρύ συνθετικό υλικό. Το τέλειο καθημερινό ένδυμα κατά τη διάρκεια της πιο κρύας εποχής του χρόνου. 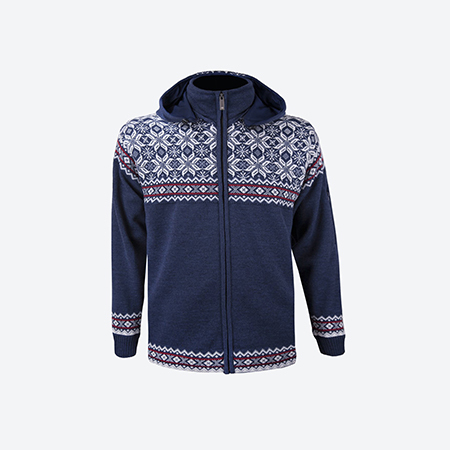 Ζεστό fleece Fjallraven με πλεκτό εξωτερικό και μαλακό βουρτσισμένο μέσα και με ενισχύσεις από G1000. Ιδανική ως μονωτική μεσαία στρώση κάτω από ένα μπουφάν για τις κρύες ημέρες του χειμώνα αλλά εξίσου και ως σακάκι για τις πιο ήπιες χειμερινές αλλά και φθινοπωρινές ημέρες. 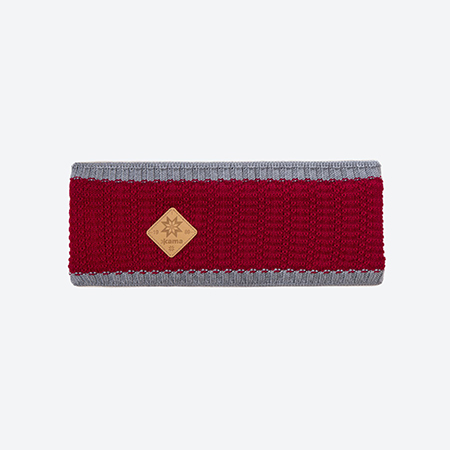 Μακρυμάνικο πουκάμισο με Comfort Fit της Fjallraven, από άνετο δροσερό οργανικό βαμβάκι αναμειγμένο με lyocell. Ένα άνετο ρούχο που έχει εξαιρετική λειτουργικότητα σε ζεστά κλίματα. Εξίσου χρήσιμο για την καθημερινή ζωή, όπως για αναψυχή ή ταξίδι. Ελαφρύ και ζεστό πουκάμισο πεζοπορίας Fjallraven. Φτιαγμένο από λειτουργική πολυεστερική φανέλα που παρέχει εξαιρετική μόνωση, αποβάλλει την υγρασία και στεγνώνει γρήγορα. Αυτό σημαίνει ότι το πουκάμισο είναι ιδανικό για δραστηριότητες όπως πεζοπορία και σκι, τόσο ως στρώμα βάσης που βρίσκεται πιο κοντά στο σώμα όσο και ως ζεστό μέσο στρώμα που φοριέται πάνω από τα ενδύματα. Κλασικό πουκάμισο μακρυμάνικο Fjallraven, άνετο, δροσερό ύφασμα από οργανικό βαμβάκι. Ελαφρύ μπουφάν με ενσωματωμένη κουκούλα σε συνδυασμό υλικών υψηλής τεχνολογίας και πούπουλο. Ο σχεδιασμός στο συνδυασμό των υλικών, δίνει την δυνατότητα της αντοχής, αλλά και την ελαστικότητας για ευκολία κινήσεων. Ένα κομψό ζεστό ρούχο, που διατηρεί το μοντέρνο στυλ, ιδανικό για καθημερινή χρήση, για περίπατο στην πόλη αλλά και εκτός. Μια νέα πρόταση στην γυναικεία σειρά της Viking, ένα δερμάτινο ελαφρύ και μαλακό παπούτσι, που συνδυάζει την κομψότητα με την άνεση, σε μοντέρνα γραμμή σχεδιασμένο με τα τεχνικά υλικά που εξασφαλίζουν χαρακτηριστικά με υψηλές προδιαγραφές. Ιδανικό για καθημερινή χρήση στην πόλη αλλά και για τις αποδράσεις στην εξοχή. Ζεστό άνετο και ελαφρύ μποτάκι Jade GTX που καλύπτει όλες τις εμφανίσεις, από casual μέχρι περιπάτους στην φύση ή αποδράσεις στα χιόνια. Ζεστό άνετο και ελαφρύ μποτάκι Mora της Viking, μια πρόταση για casual καθημερινή χρήση, με 100% αδιάβροχη προστασία GORE-TEX και διαπνέον, εξασφαλίζει στεγνά πόδια και άνεση λόγο διαπνοής υλικού. Ο απόλυτος συνδυασμός στη πρόταση της Viking, με το ορειβατικό μποτάκι, Ascent II GTX, κατασκευασμένο από επιλεγμένα υλικά υψηλής τεχνολογίας, καλύπτει την χρήση της καθημερινής δραστηριότητας μέχρι και τις εξορμήσεις στην φύση. Με ένα κομψό, μοντέρνο σχεδιασμό, το Medvind Viking αποτελεί τον ορισμό της άνεσης και της σταθερότητας του απόλυτου σπορ ελαφρύ παπουτσιού. Ένα πραγματικό all-rounder από τα πιο δημοφιλή στυλ της Viking, με σχεδιασμό και υλικά υψηλής τεχνολογίας, προσφέρει άνεση και σιγουριά στους περιπάτους, τις πεζοπορίες και τις δραστηριότητες. Μια επιλογή όταν θέλετε ένα παπούτσι που σας «πάει» παντού. Το Apex II GTX είναι ένα παπούτσι υψηλών επιδόσεων, το οποίο έχει σχεδιαστεί για να παρέχει χαμηλό βάρος, υψηλή αναπνοή και συνολική αδιάβροχη προστασία. Μια νέα πρόταση της Tilley, το Tws1 Paddler’s για όσους αγαπούν τις αποδράσεις και την έντονη δραστηριότητα. Μια πρόταση της Tilley, διαχρονική και κλασική, για πάνω από 30 χρόνια, το μοντέλο Τ3 100% cotton duck. Εάν ενδιαφέρεστε για τα κλασικά, αυτό το καπέλο Tilley® είναι για εσάς. Γενικά θεωρείται ιδανικό για ιστιοπλοϊκό ύφος, ωστόσο οι πλευρικές ασφάλειες κουμπώματος, που «διπλώνουν» το γείσο δημιουργούν καλύτερη ορατότητα, με αποτέλεσμα να γίνει αγαπημένο μοντέλο και των κυνηγών. Έτσι δίκαια έχει χαρακτηριστεί ως ο απόλυτος κυρίαρχος σε βουνό και θάλασσα. Ένα από τα ελαφρύτερα καπέλα της Tilley, αυτό το καπέλο οργανικού βαμβακιού AIRFLO® έχει ένα μαλακό φινίρισμα και ένα πλέγμα 3/4 «για μεγάλη αναπνοή. Καπέλο της Tilley, LTM5 AIRFLO®, είναι σχεδιασμένο με μεσαίο γείσο και πλέγμα πολυεστέρα 1,9 εκ. στην κορώνα για δροσιά και άνεση κατά την διάρκεια ζεστών ημερών και κουραστικών διεργασιών. Κατασκευασμένο από Tilley Nylamtium®, ένα ανθεκτικό και ελαφρύ νάιλον που αντιστέκεται στο νερό και στην μούχλα. Μέγιστη προστασία από τον ήλιο – το ύφασμα είναι πιστοποιημένο UPF 50+, το υψηλότερο που δίνεται. Μια ιδιαίτερη πρόταση Duffle Bag της millican, φημισμένης ανθεκτικότητας, σχεδιαστικής απλότητας, και λειτουργικής υπεροχής, σε μια τσάντα πολλαπλών χρήσεων. Ο σχεδιασμός της επιτρέπει την χρήση της ως Duffle Bag για ταξίδια αλλά και Rucksack για καθημερινή χρήση. Είναι αποδεκτές ως χειραποσκευές από τις περισσότερες αεροπορικές εταιρείες. Το εξωτερικό είναι κατασκευασμένο από ελαφρύ, ανθεκτικό στις καιρικές συνθήκες Bionic® Canvas το οποίο είναι 57% ανακυκλωμένο και 30% ισχυρότερο από τον κανονικό καμβά. Ιδανική τσάντα για «αστούς εξερευνητές», περιλαμβάνει πολλαπλές τσέπες που προσφέρουν χώρο για φορητό υπολογιστή, χαρτιά, φωτογραφική μηχανή, μπουκάλι νερού και άλλα προϊόντα καθημερινής ανάγκης. Υλικά, 100% οργανικό βαμβακερό εξωτερικό καμβά (ανθεκτικό στις καιρικές συνθήκες), 100% οργανική βαμβακερή επένδυση, 70% φυσικό μαυρισμένο δέρμα. Ένα σύγχρονο κλασικό σακίδιο Ruckseck της millican που συνδυάζει την κουλτούρα της παράδοσης με την εφαρμογή αναγκών στην σύγχρονη καθημερινότητα. Μία αίσθηση Vintage σε σύγχρονη έκδοση. Υλικά, 100% οργανικός βαμβακερός καμβάς εξωτερικός (αδιάβροχος), αδιάβροχος 100% ανακυκλωμένος πολυεστέρας κάλυψη βροχής, 100% οργανική βαμβακερή επένδυση, 70% φυσικό μαυρισμένο δέρμα. Μία από τις πιο πρακτικές messenger millican τσάντες ώμου με ιμάντες στήριξης για απόλυτη σταθερότητα, ειδικά για χρήση σε όσους κυκλοφορούν σε δυο τροχούς. Αποσπώμενη λουρίδα σταθεροποίησης για να διατηρεί τη τσάντα σταθερή στην θέση της, κατά την ποδηλασία ή στην μηχανή. Για μεγαλύτερη αντοχή , χρησιμοποιείται στις τσάντες ένας εξαιρετικά αδιάβροχος καμβάς Bionic® παρά ο κανονικός καμβάς. Αυτό τις καθιστά ιδανικές για μετακίνηση, ανεξάρτητα τον καιρό. Προστέθηκε ακόμη μια κρυφή αντανακλαστική λωρίδα, προσάρτηση για τα φώτα ποδηλάτου σας και ένας αποσπώμενος ιμάντας σταθερότητας ειδικά για τους ποδηλάτες και μοτοσικλετιστές αλλά και τους πεζούς. Σακίδιο Fraser the Rucksack η πρόταση της millican, για όσους αναζητούν περιπέτεια στις αποδράσεις τους αλλά και την λειτουργικότητα στην καθημερινή χρήση. Ρυθμιζόμενες, γεμισμένες ιμάντες ώμου με αφαιρούμενες ζώνες μέσης και στέρνου. Οι λεπτομέρειες κάνουν όλη τη διαφορά. Το Fraser διαθέτει πόρπες από αλουμίνιο, ασφαλή κορδόνια περίσφιξης και καπάκι εύκολης πρόσβασης. Κάθε τσάντα είναι κατασκευασμένη από αδιάβροχο Bionic Canvas, το οποίο είναι 57% ανακυκλωμένο και 30% ισχυρότερο από τον κανονικό καμβά. 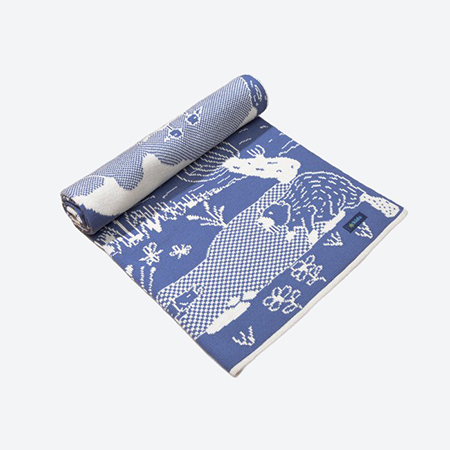 Roll Pack σακίδιο millican, χρήσης ‘grab and go’ για καθημερινή μετακίνηση και ταξίδια. Kατασκευασμένα Bionic® Canvas. Αυτό είναι 57% ανακυκλωμένο και 30% ισχυρότερο από τον κανονικό καμβά. Κάθε λεπτομέρεια αφορά την ανθεκτικότητα και τη λειτουργικότητα – από τις κρυμμένες τσέπες μέχρι την πτυσσόμενη αντανακλαστική λωρίδα. Ακόμη και οι πόρπες είναι κατασκευασμένες από αλουμίνιο αντί πλαστικό. Ελαφρύ γιλέκο κατασκευασμένο από αντιανεμικό και υδατοαπωθητικό υλικό με ενσωματωμένη θήκη συμπίεσης για ελάχιστο όγκο συσκευασίας. SoftShell/ Down Bergans γιελέκο, ζεστό υβριδικό, που συνδυάζει την αναπνοή του μαλακού υλικού με τις μοναδικές μονωτικές ιδιότητες του πούπουλου. Το γιλέκο είναι μέρος του τρόπου ζωής και της ταξιδιωτικής σειράς Bergans, το οποίο αποτελείται από έξυπνα, καθημερινά ενδύματα που προσφέρουν τις προστατευτικές ιδιότητες της τεχνικής ένδυσης. Ιnsulated shell μπουφάν Bergans, αδιάβροχο, αντιανεμικό, άνετο και ζεστό για ευέλικτη χρήση σε πολλαπλές δραστηριότητες και συνθήκες έντονου καιρού. Ο κωδικός διατίθεται σε ανδρικό & γυναικείο μοντέλο. Ένα ελαστικό κορδόνι περίσφιξης στο κάτω μέρος. Ελαφρύ μπουφάν, αδιάβροχο με υδατοαπωθητικό ύφασμα Pertex® Microlight, ιδανικό για πολλαπλή χρήση, με άνεση, προστασία και στυλ. Μία πρόταση από την Bergans για καθημερινή χρήση αλλά και αποδράσεις στην εξοχή. Το γυναικείο NFL Knitfleece αποτελεί μια πρόταση που συνδυάζει το στυλ και την άνεση στις καθημερινές σας εμφανίσεις. Ζεστό, πλεκτό εξωτερικό και μαλακό βουρτσισμένο εσωτερικά, με κομψή γραμμή, σε ανοιχτό μοβ melange χρώμα. Διαθέτει δυο πλευρικές μπροστινές τσέπες και μια τσέπη με φερμουάρ στο αριστερό μανίκι. Ελαστικό στρίφωμα στα μανίκια, το κολάρο και το κάτω μέρος. Ελαφρύ και λεπτό Bergans fleece. Παρέχει την απαιτούμενη πρόσθετη μόνωση όταν πέσει η θερμοκρασία. Το μοντέλο Park City, διατίθεται και σε γυναικείο κωδικό. Eνα ιδιαίτερο Πουπουλένιο μπουφάν με κουκούλα και 700 Fill Volum, από την σειρά Slingsbytind Bergans, όπου η ανώτερη λειτουργικότητα, το χαμηλό βάρος και η ανθεκτικότητα είναι εξαιρετικά ισορροπημένες. Ο κωδικός διατίθεται σε ανδρικό και γυναικείο μοντέλο.